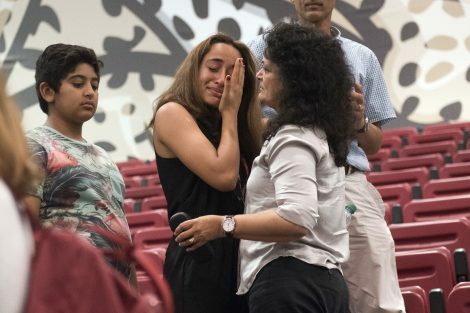 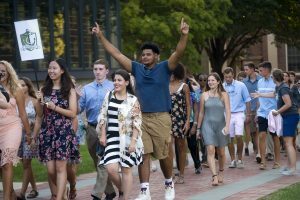 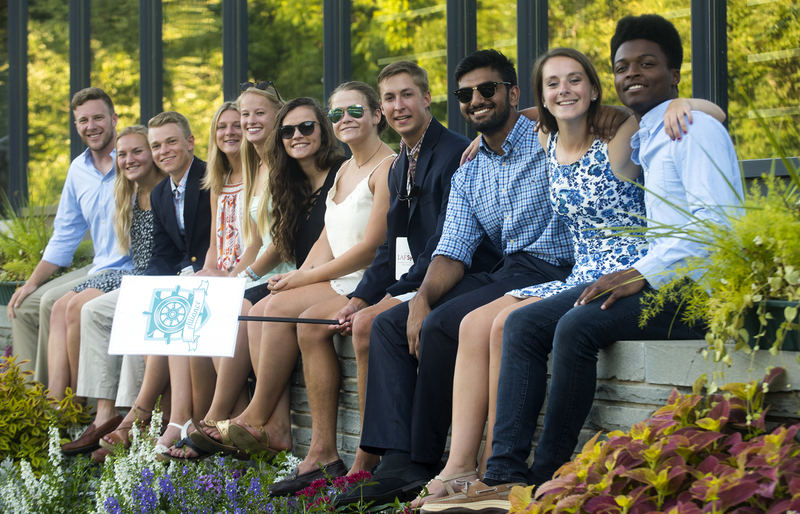 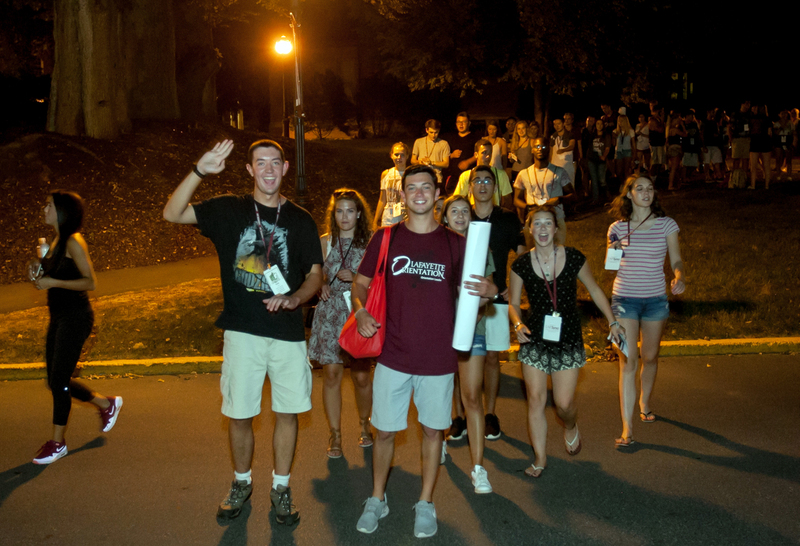 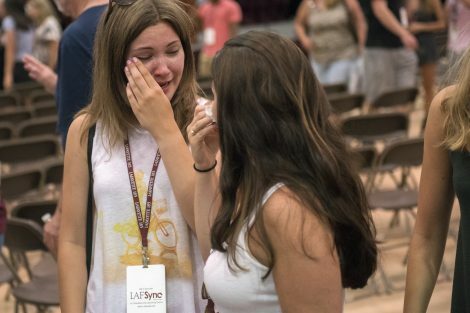 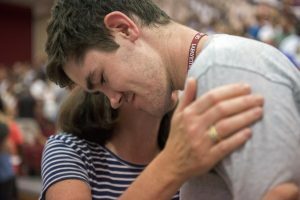 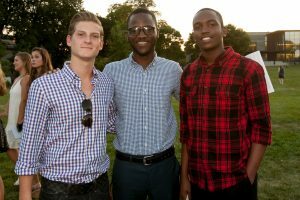 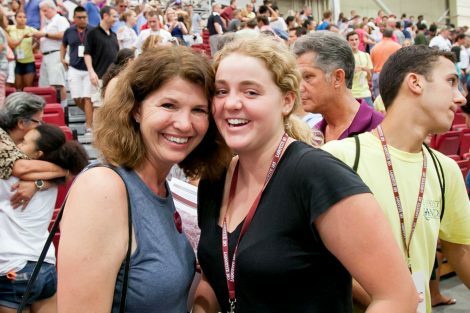 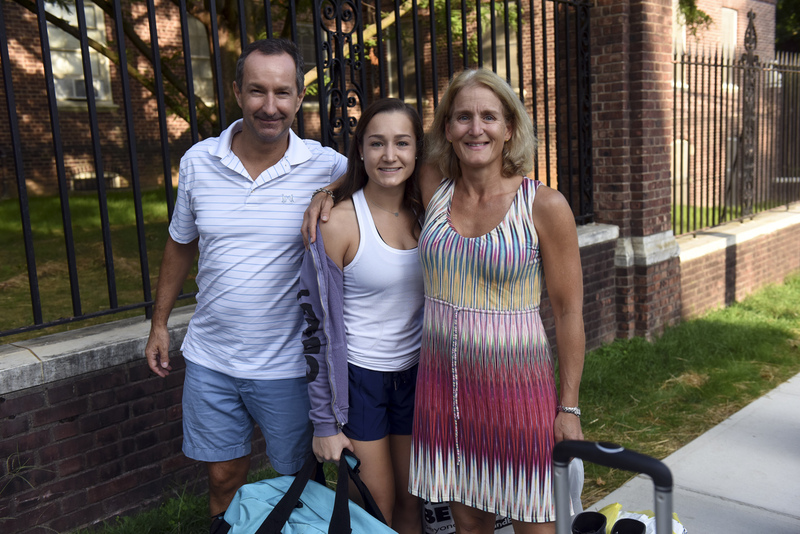 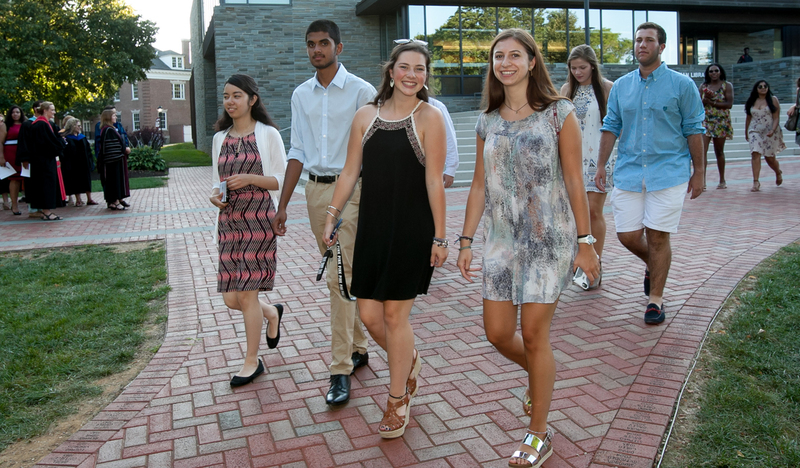 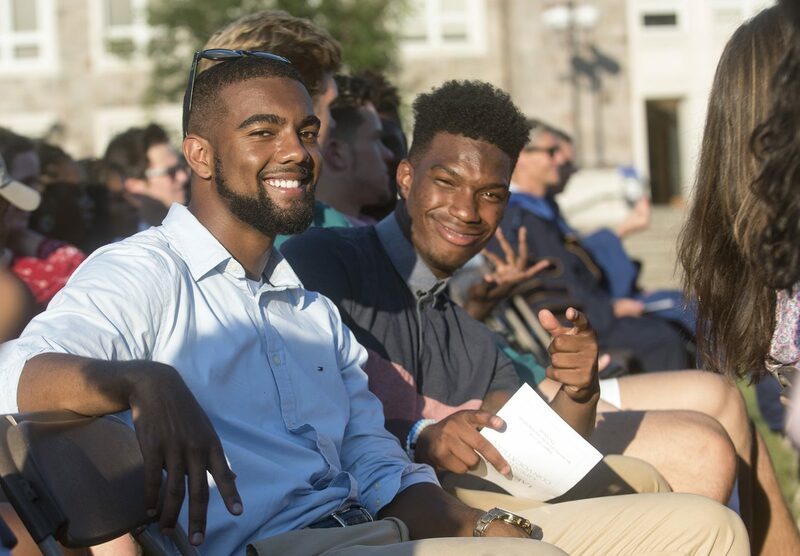 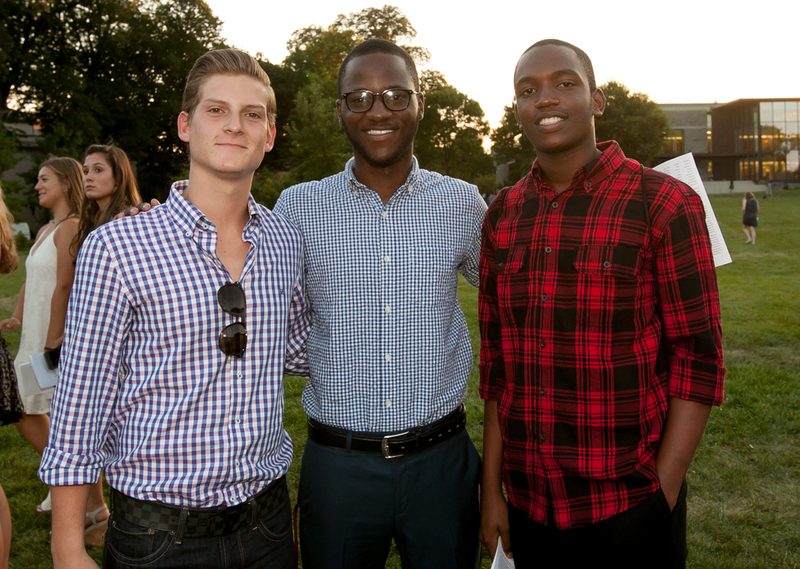 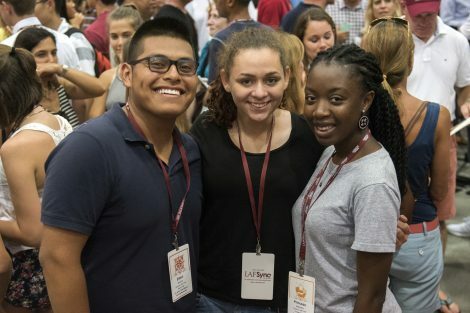 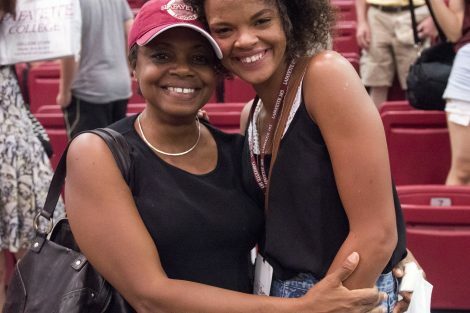 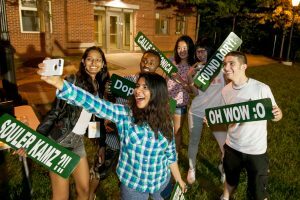 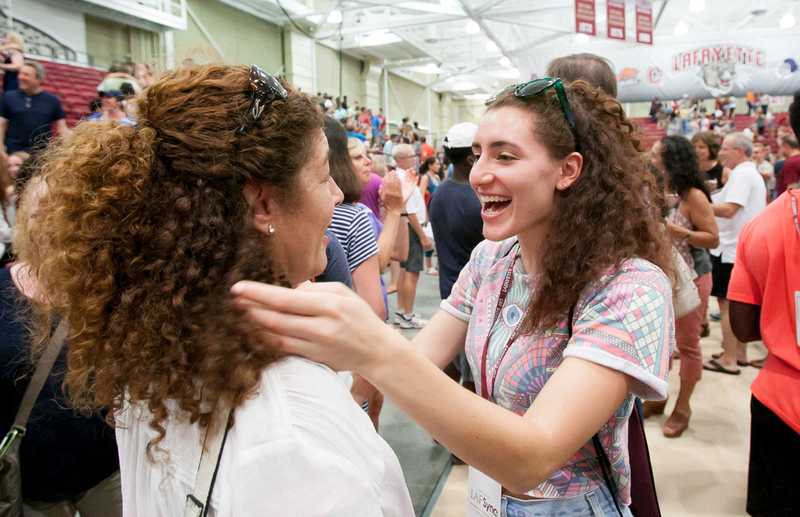 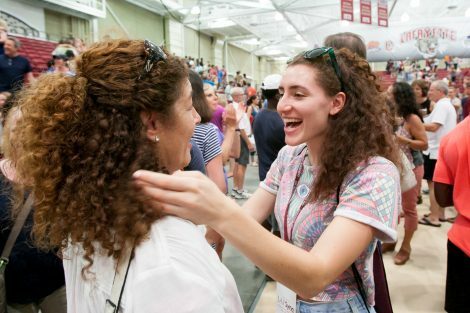 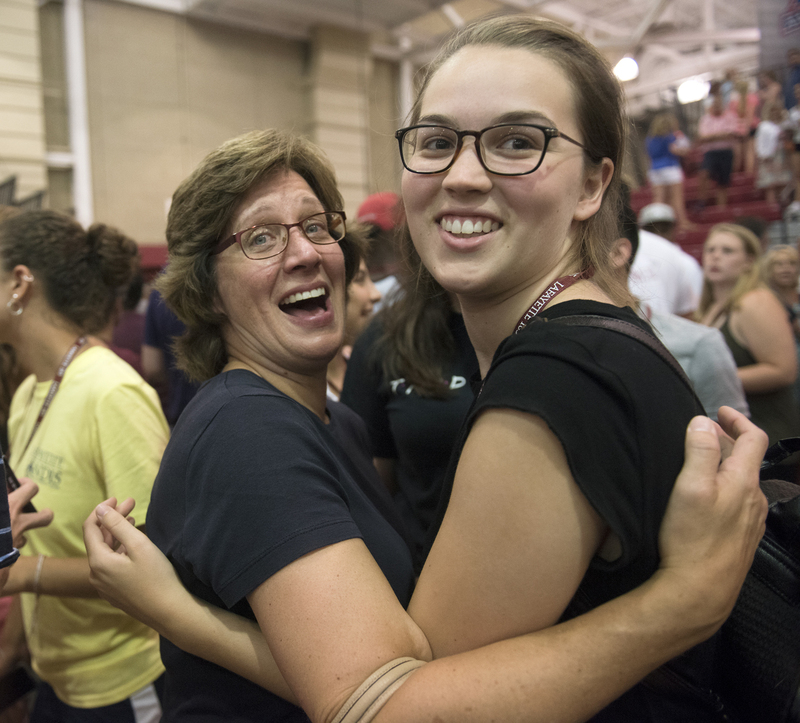 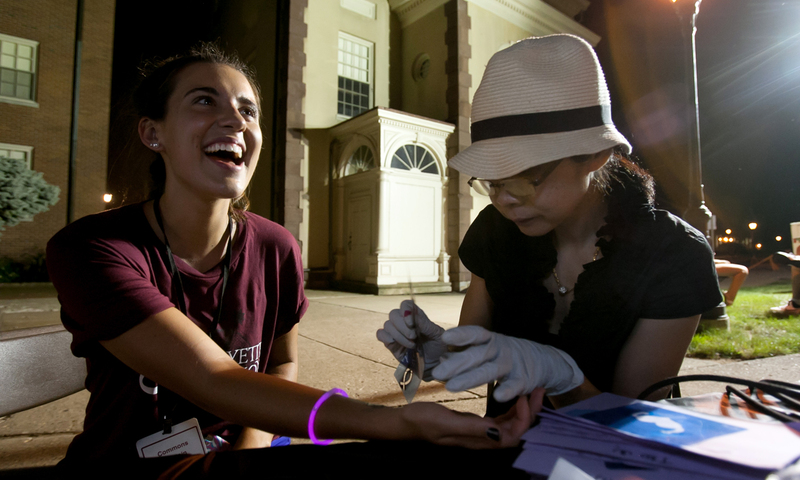 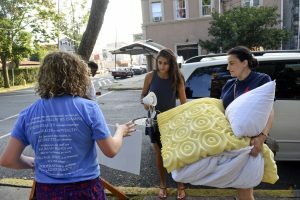 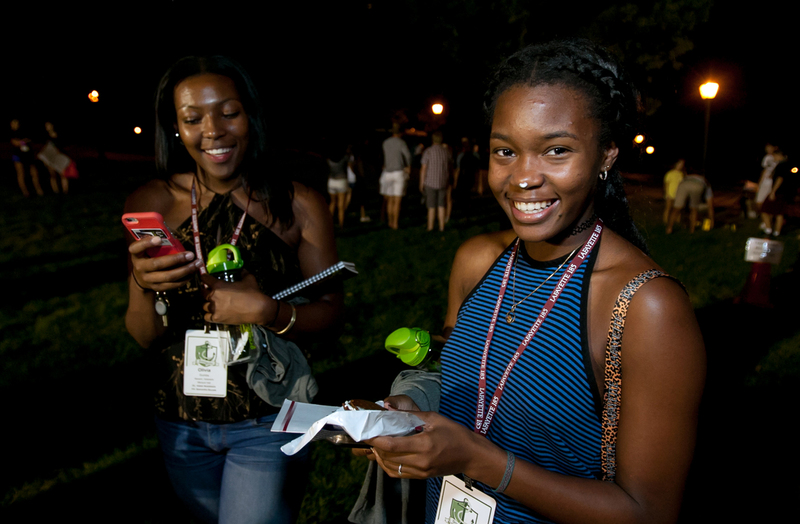 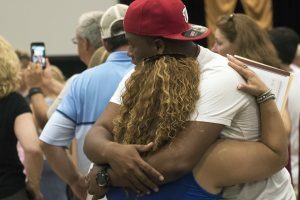 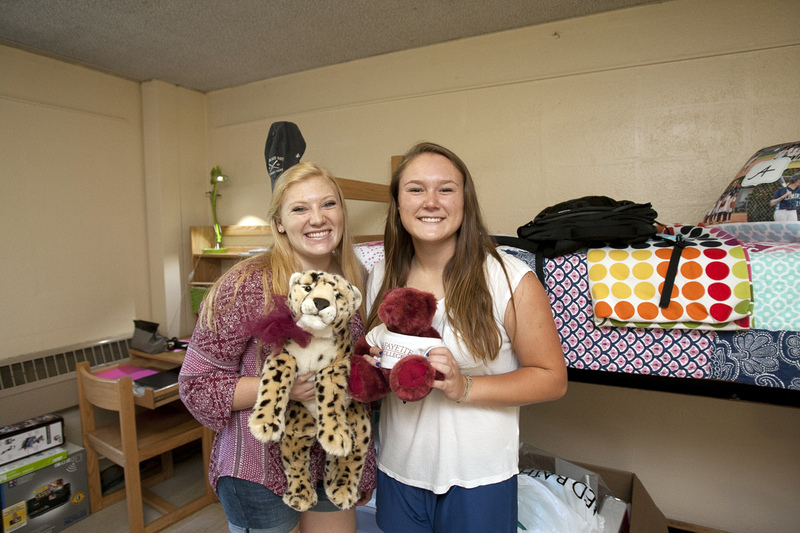 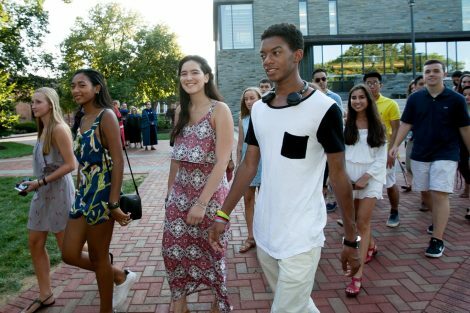 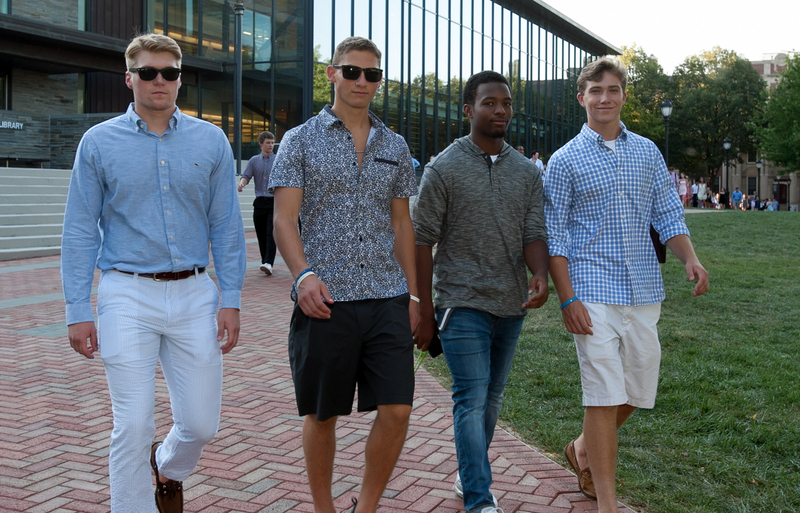 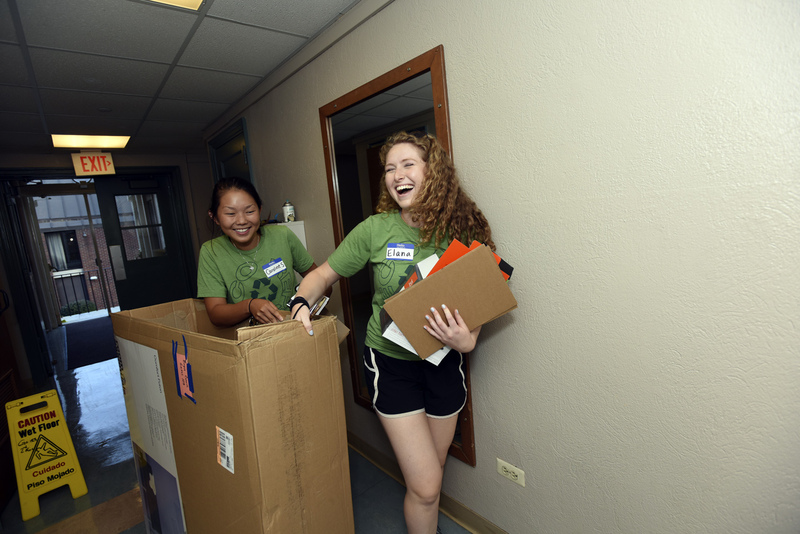 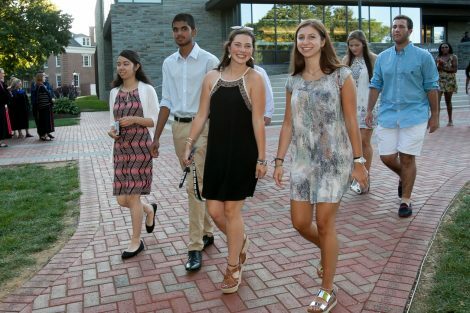 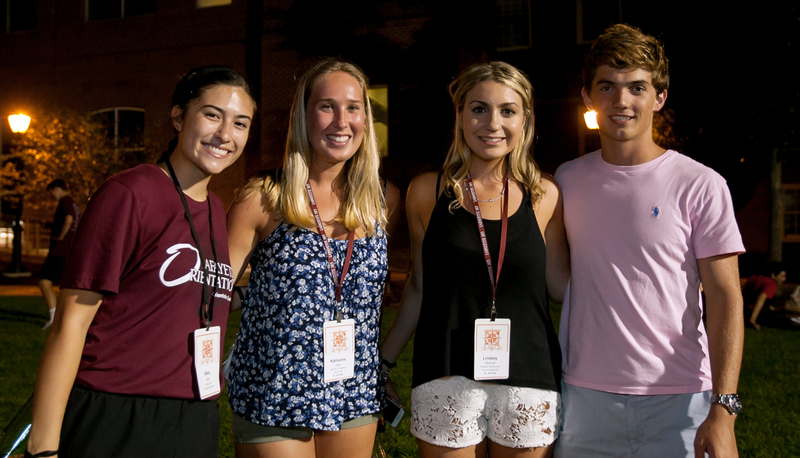 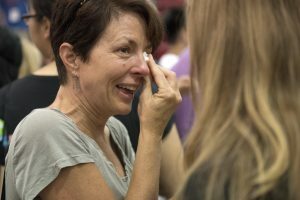 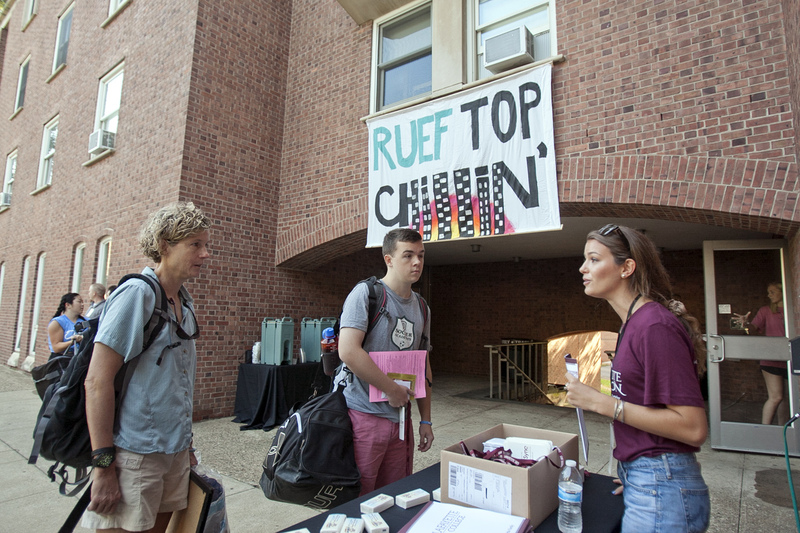 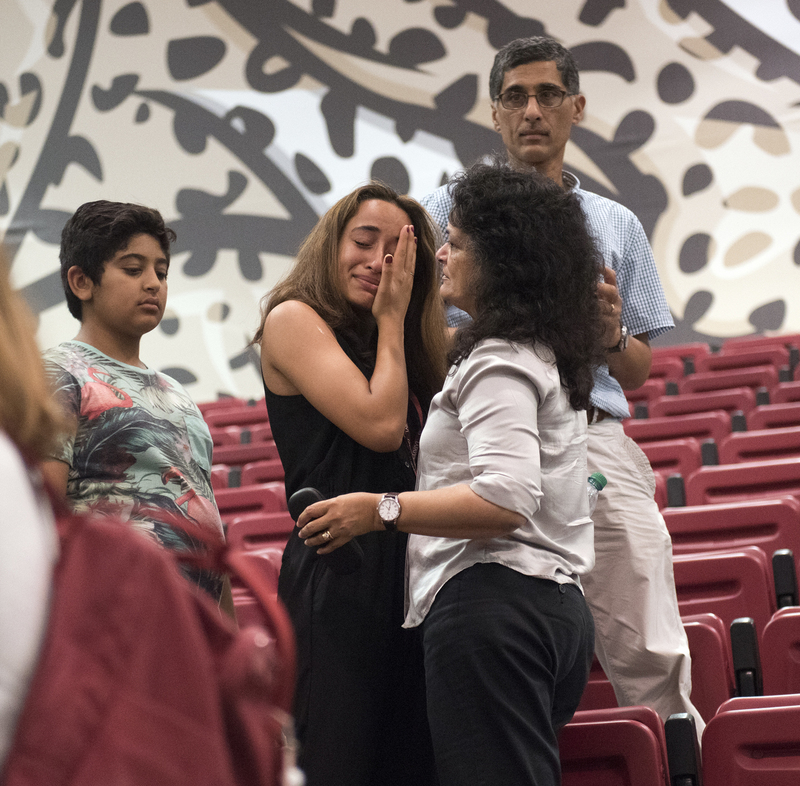 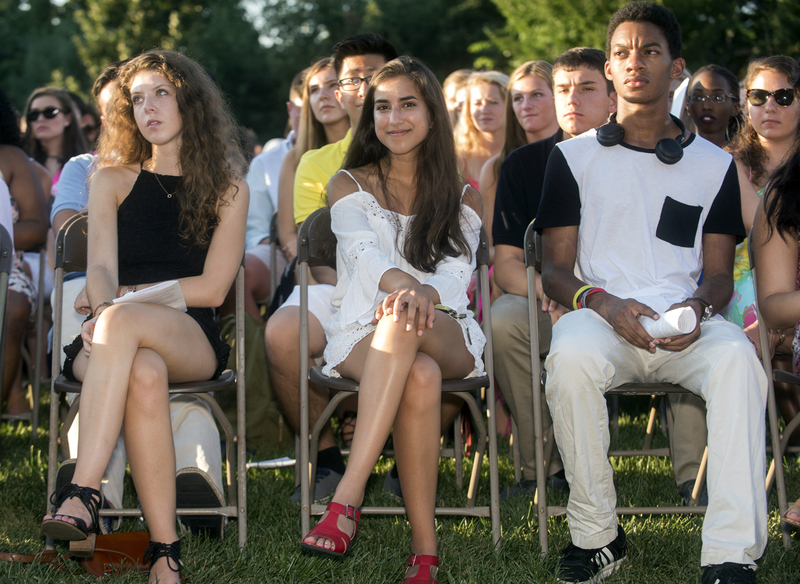 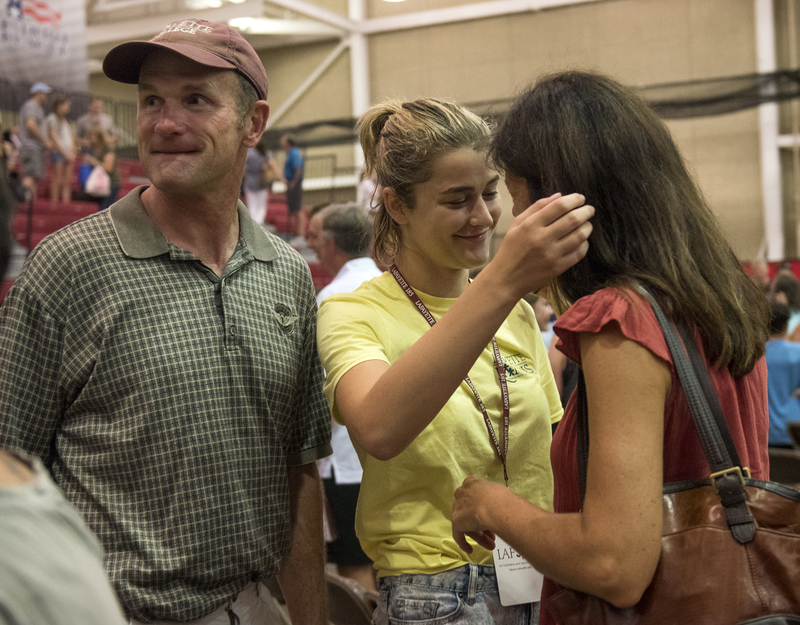 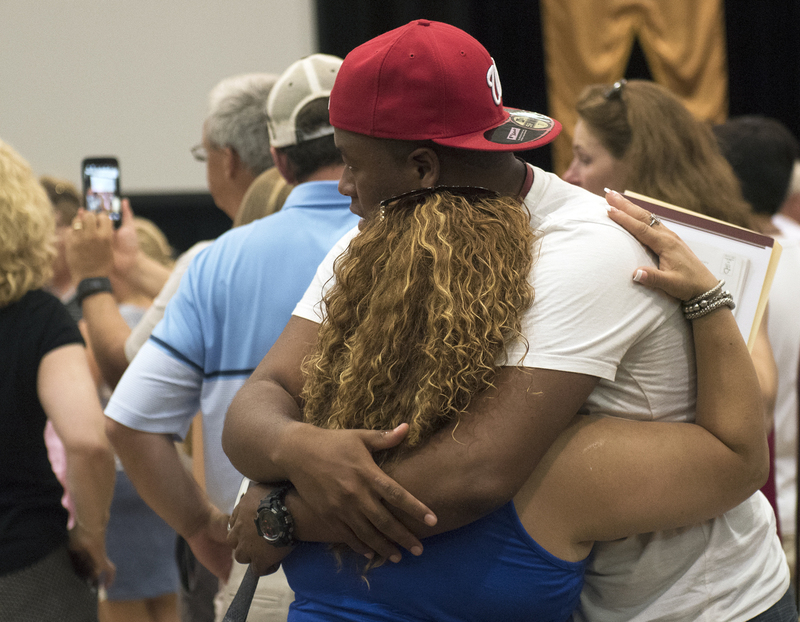 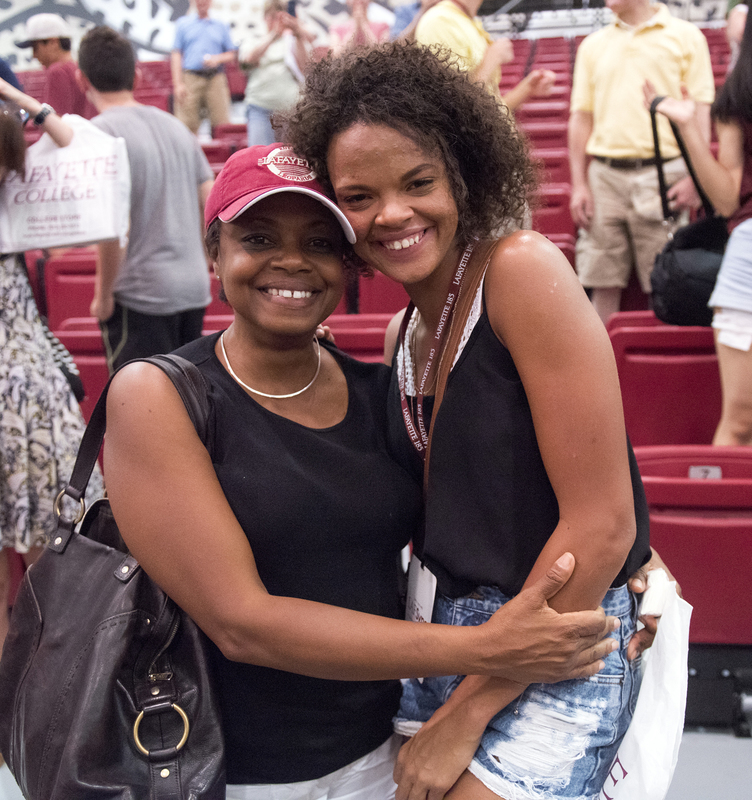 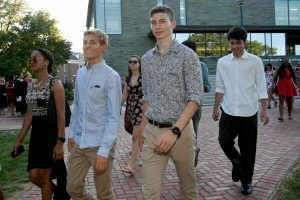 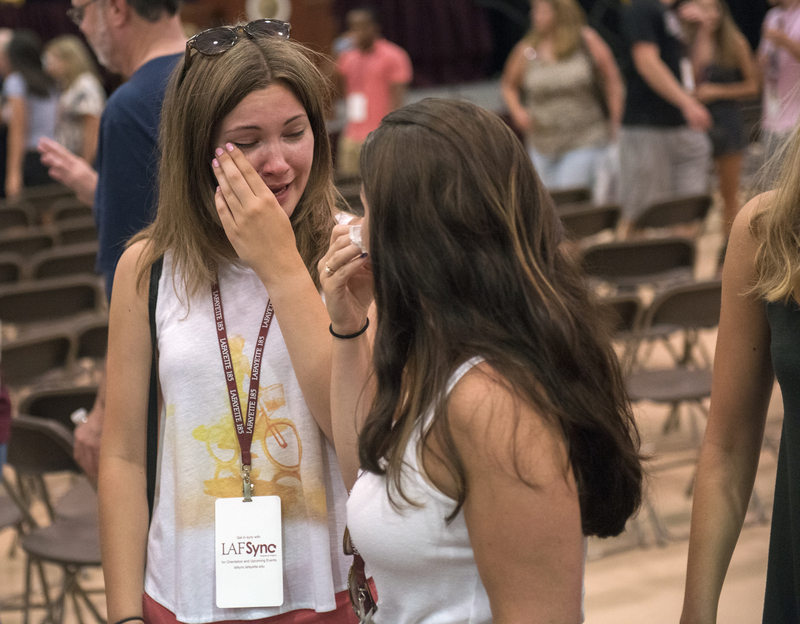 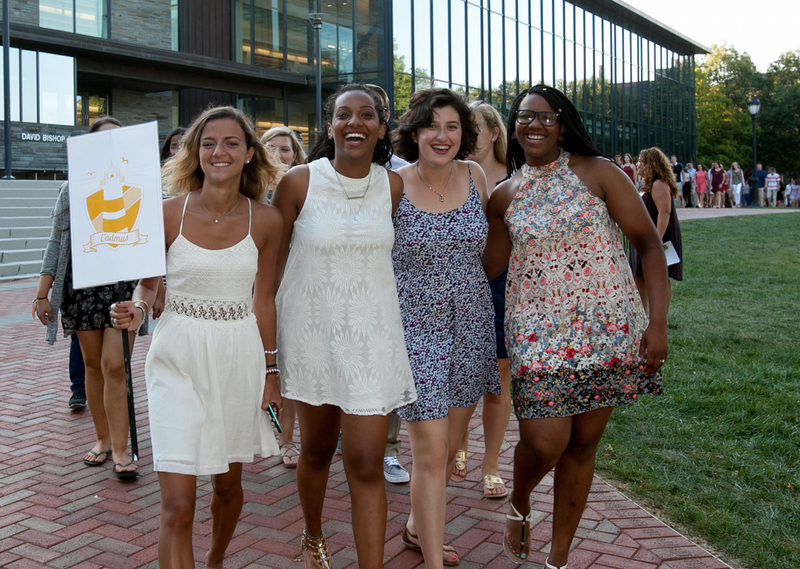 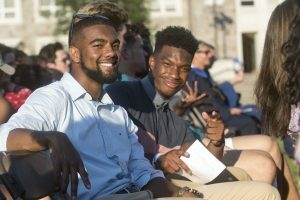 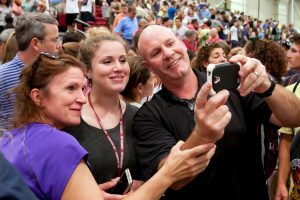 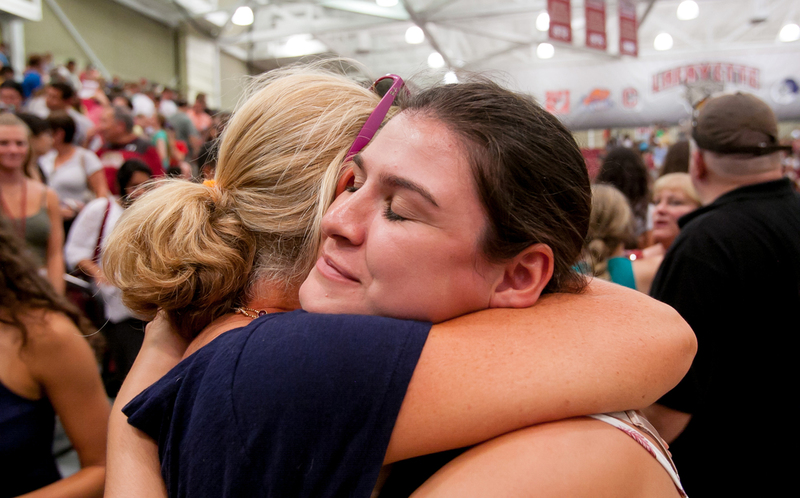 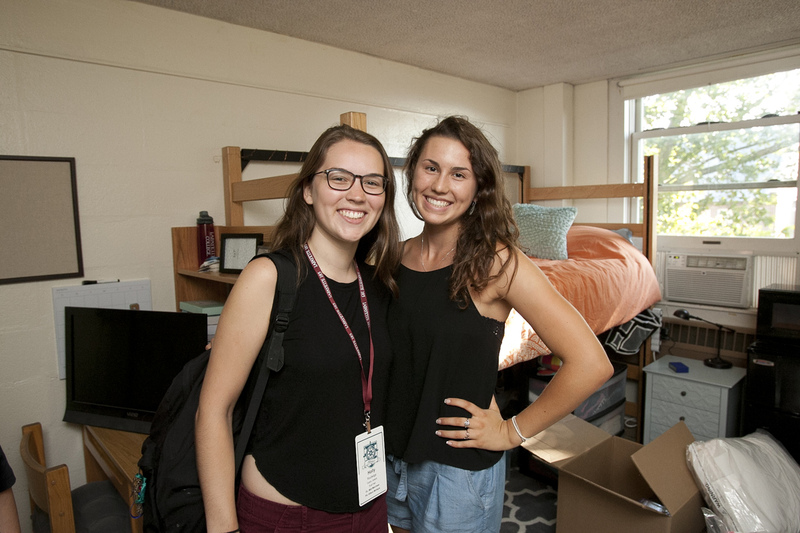 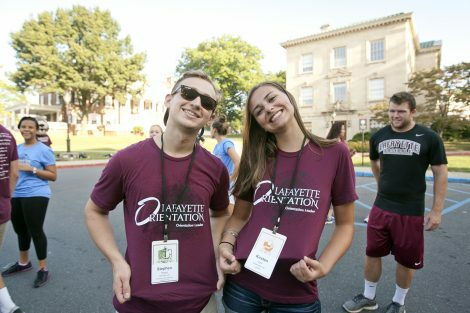 The Class of 2020 completed its first few days of school during new student orientation. 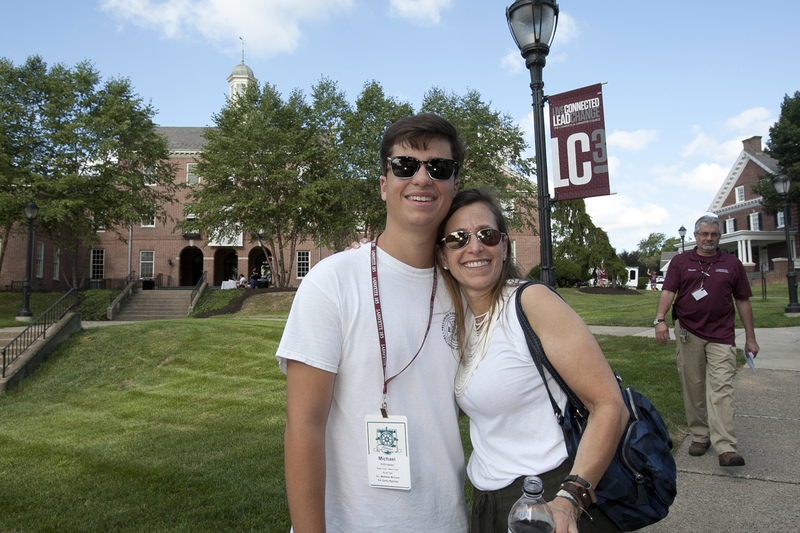 Here are photo galleries and a video from throughout the weekend. 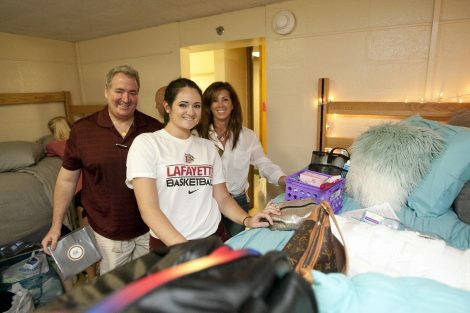 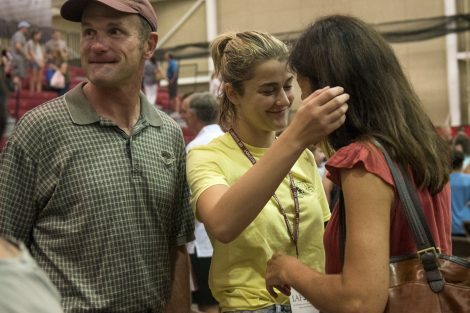 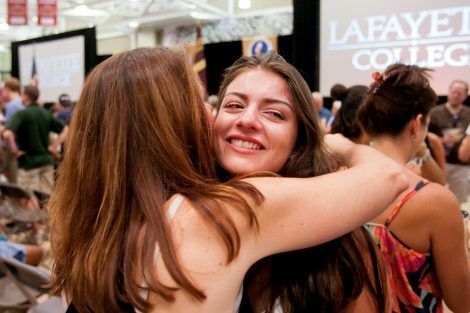 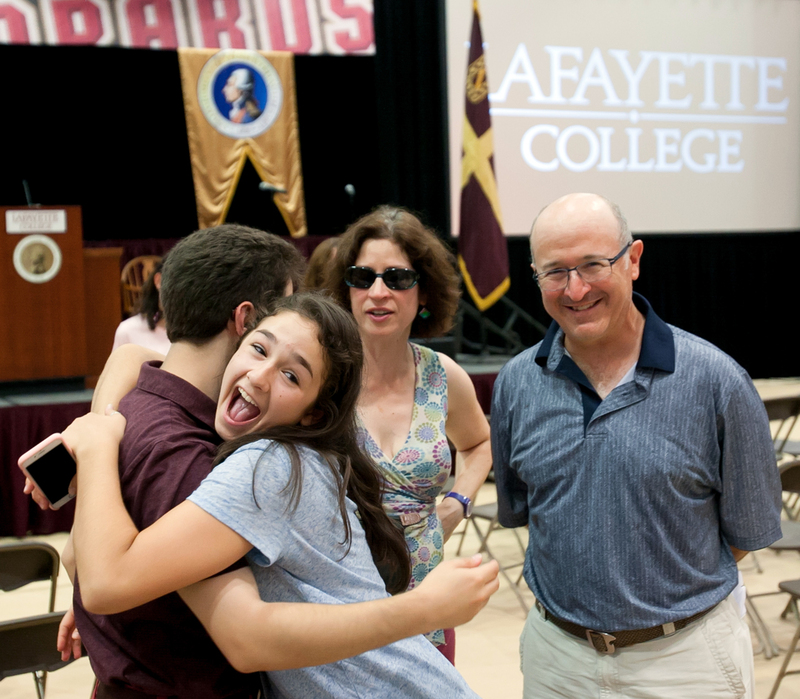 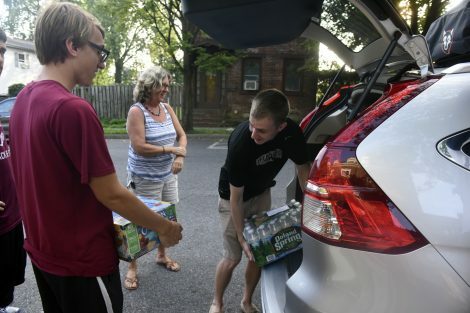 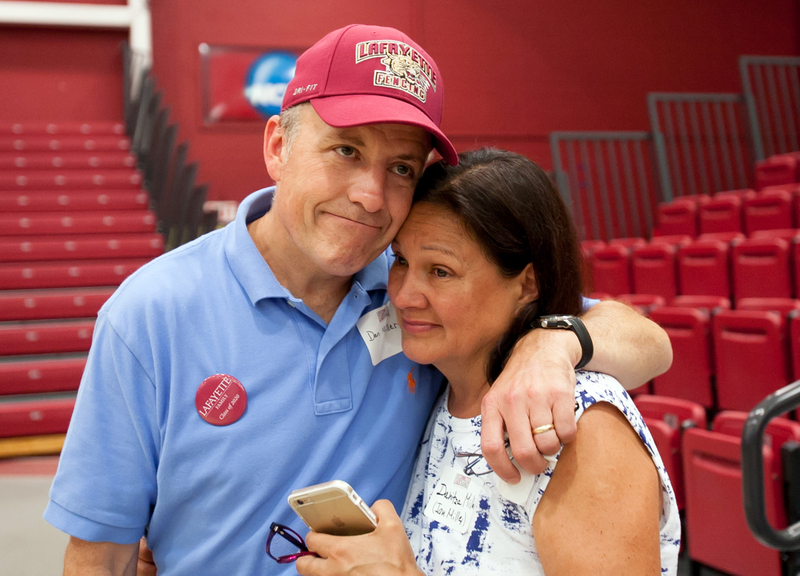 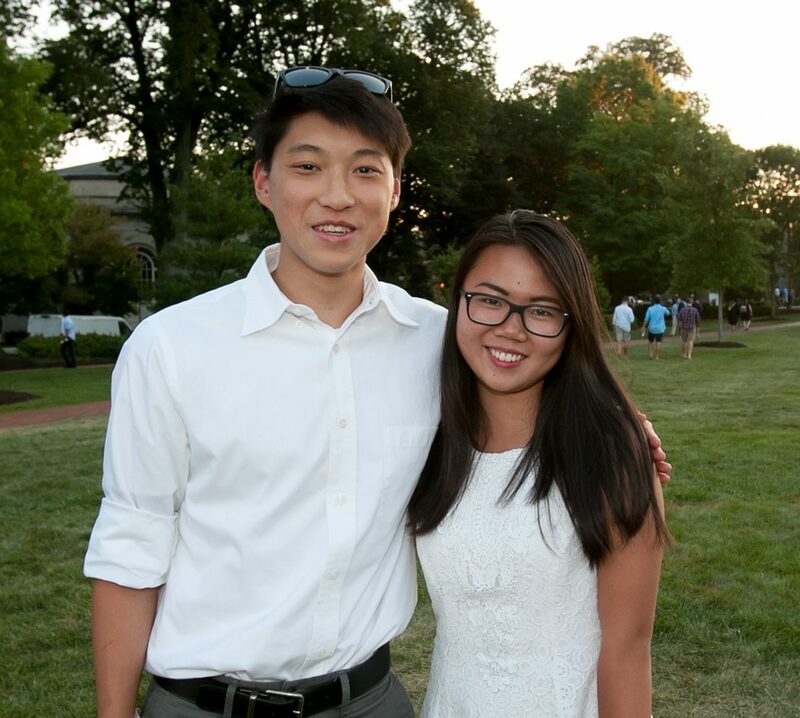 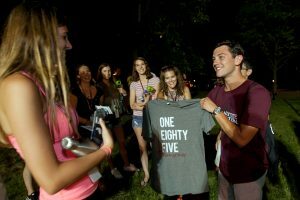 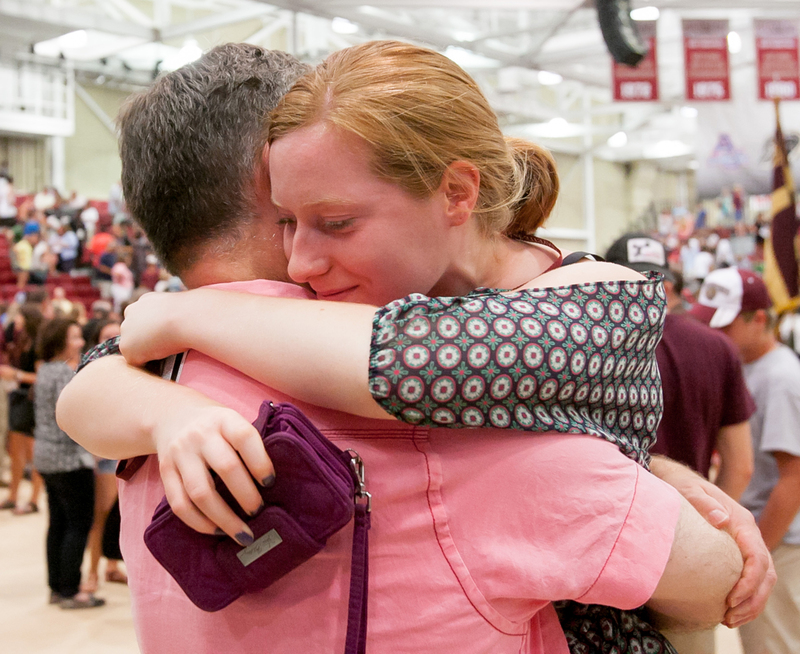 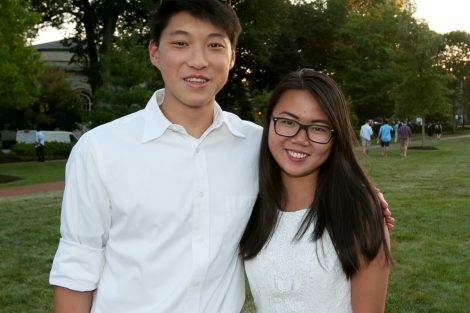 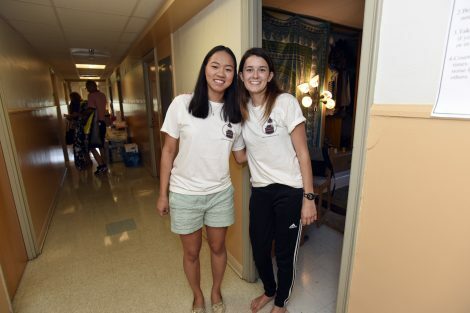 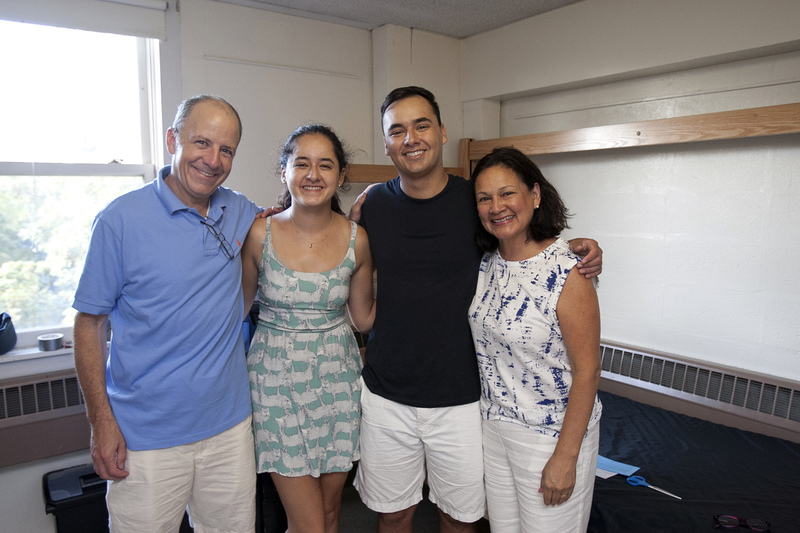 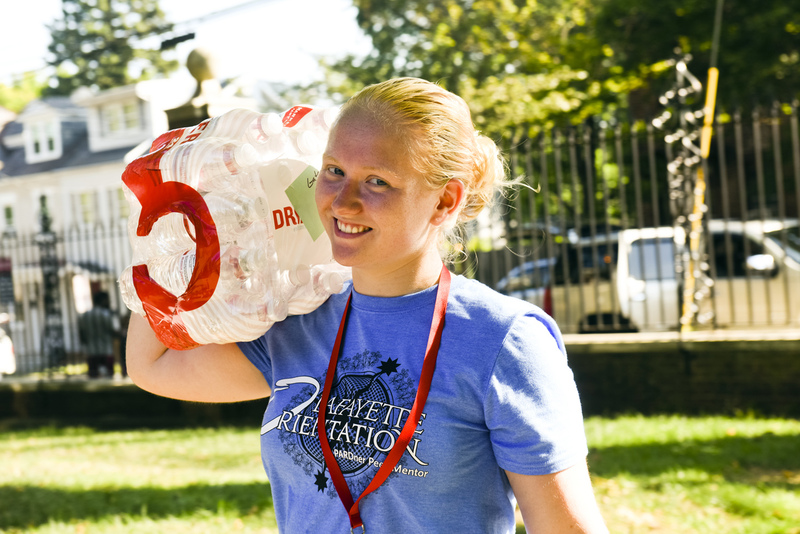 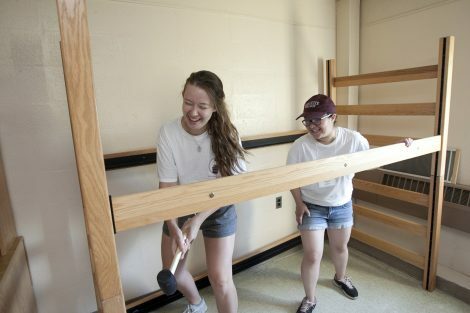 The members of Lafayette’s 185th class have come to campus from as far away as Mongolia. 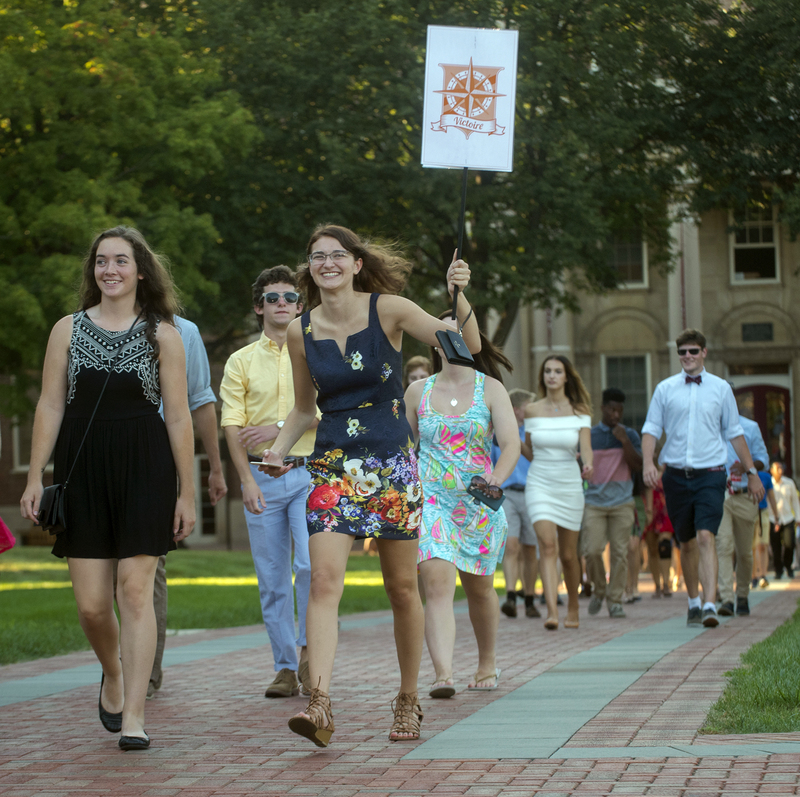 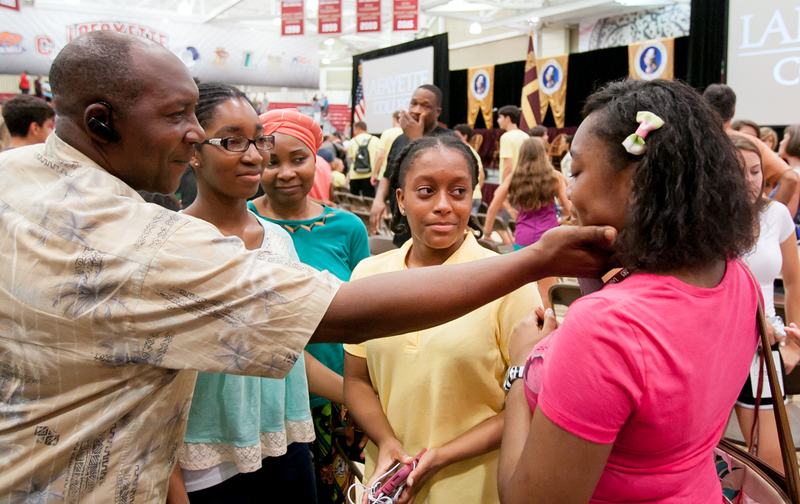 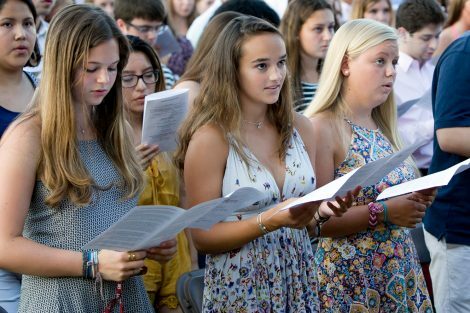 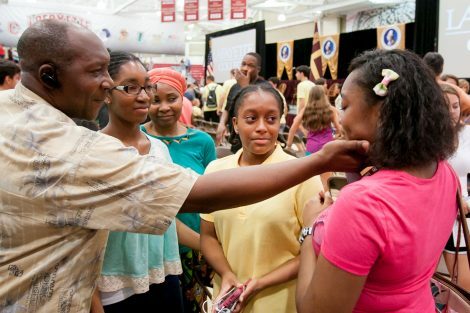 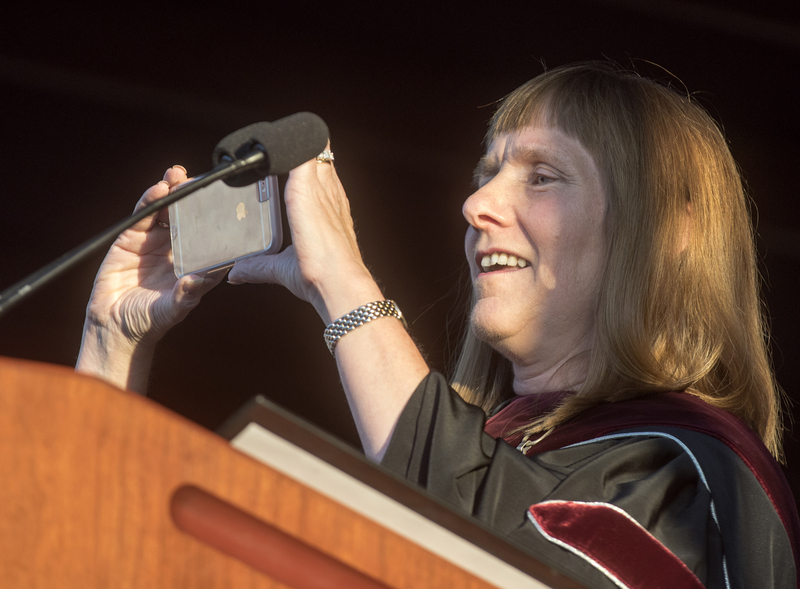 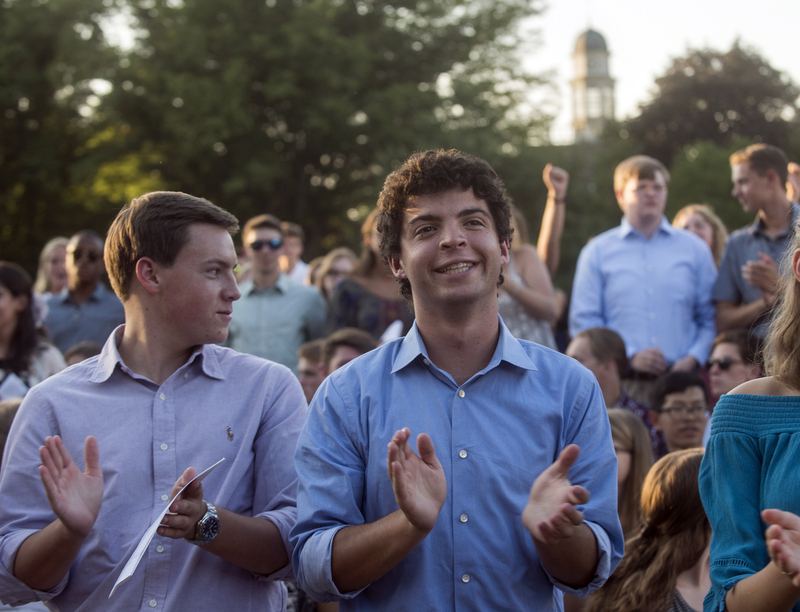 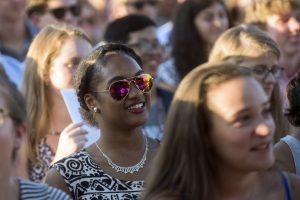 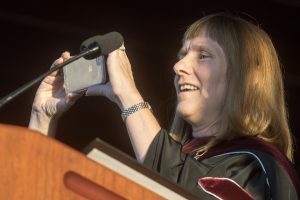 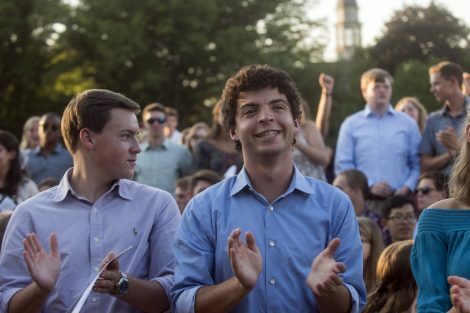 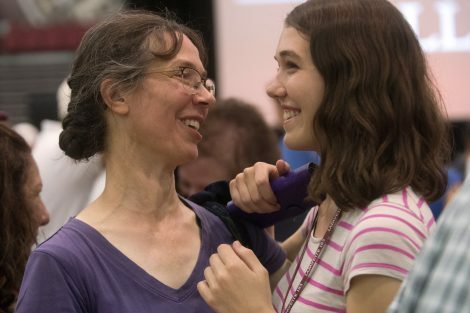 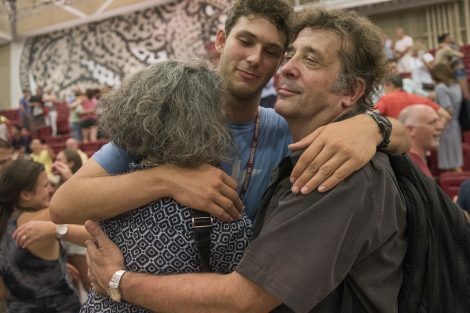 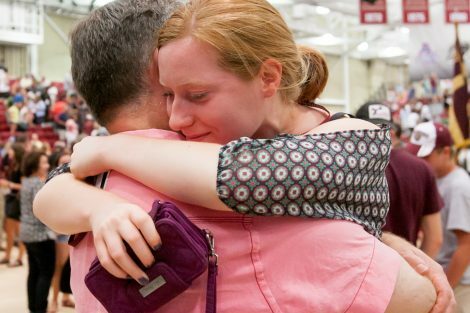 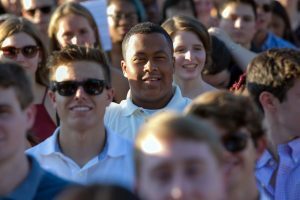 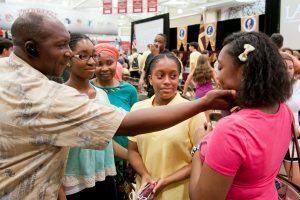 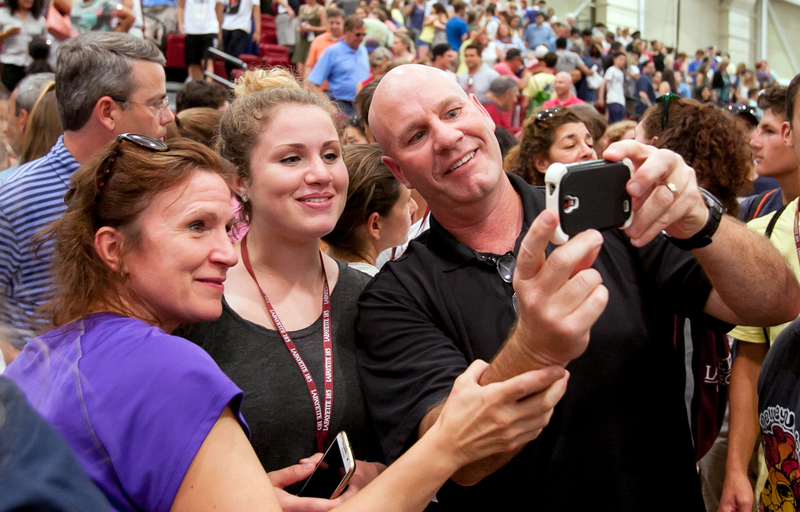 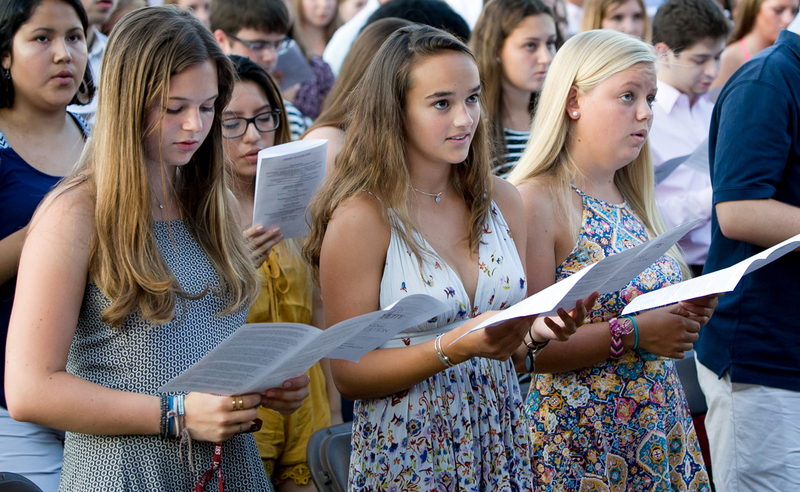 The 652 new students represent 35 states and 44 countries. 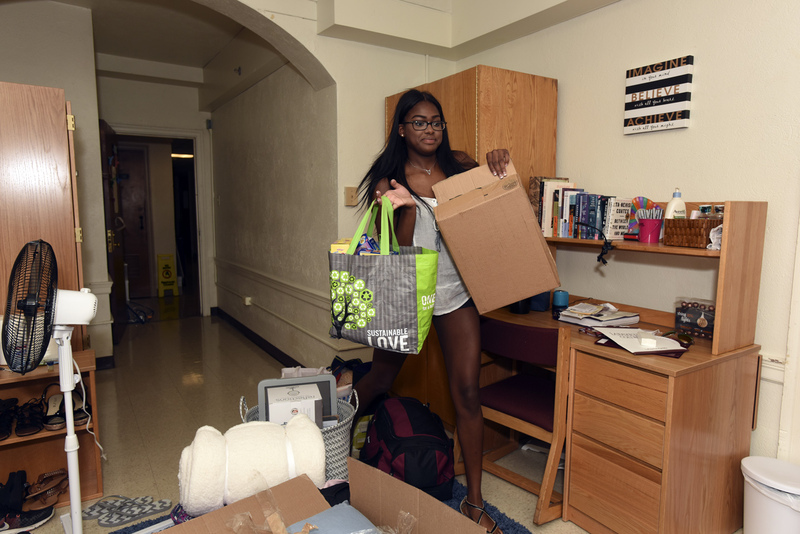 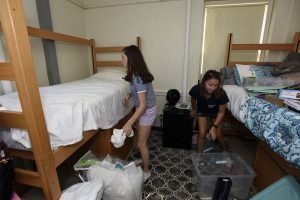 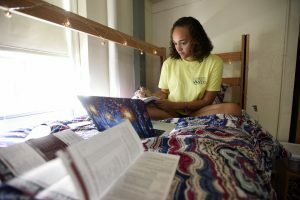 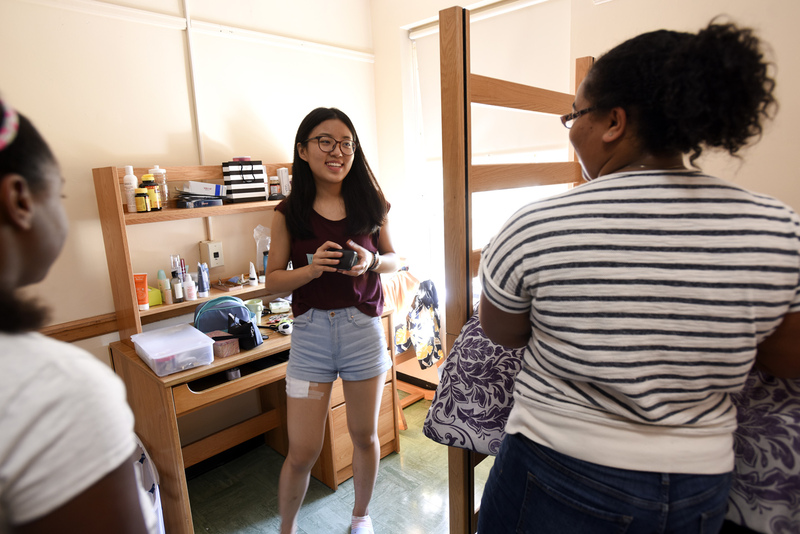 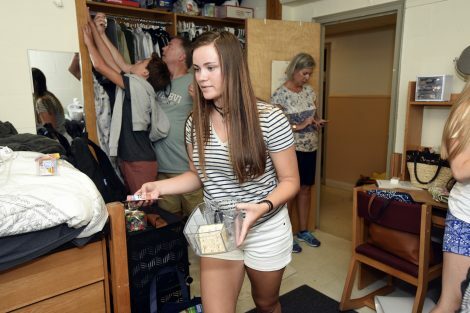 Students have been sorted into one of five class commons – Victoire, Alliance, Hermione, Cadmus, and Brandywine – according to residence hall. 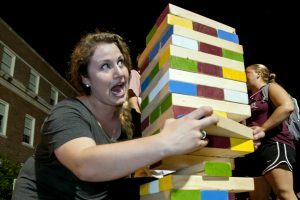 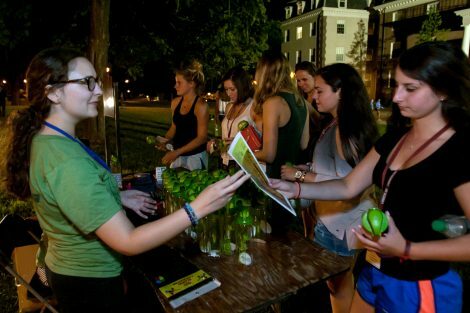 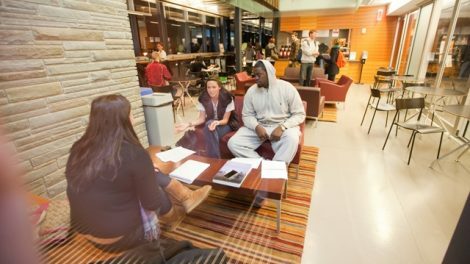 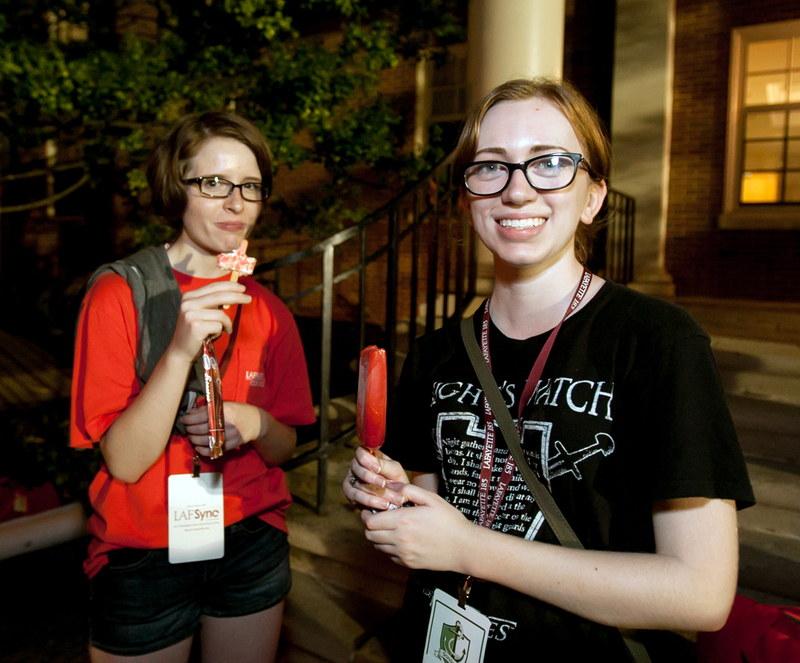 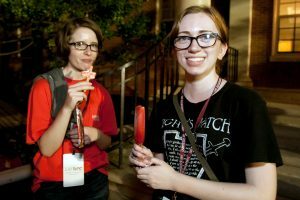 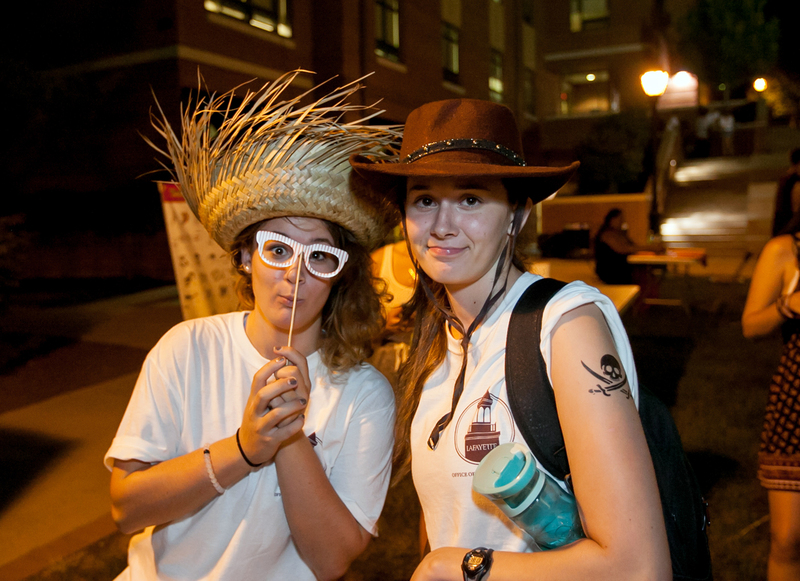 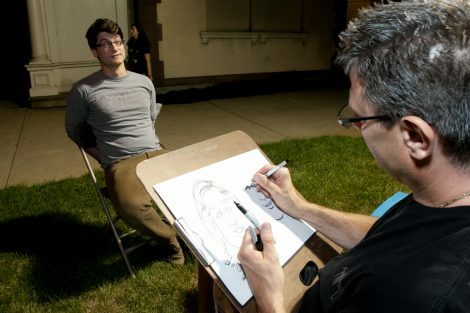 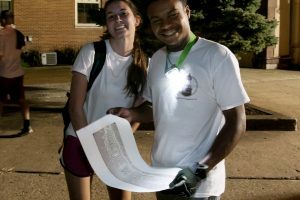 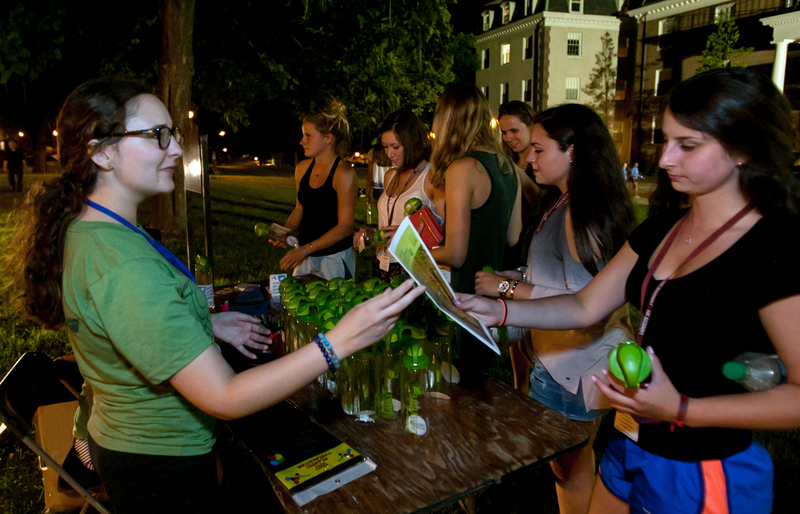 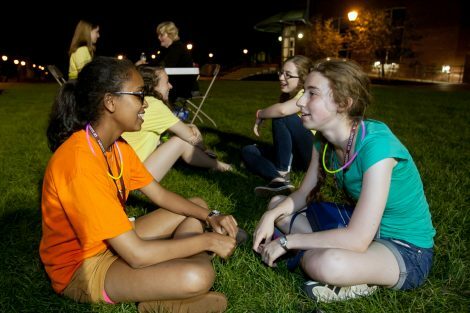 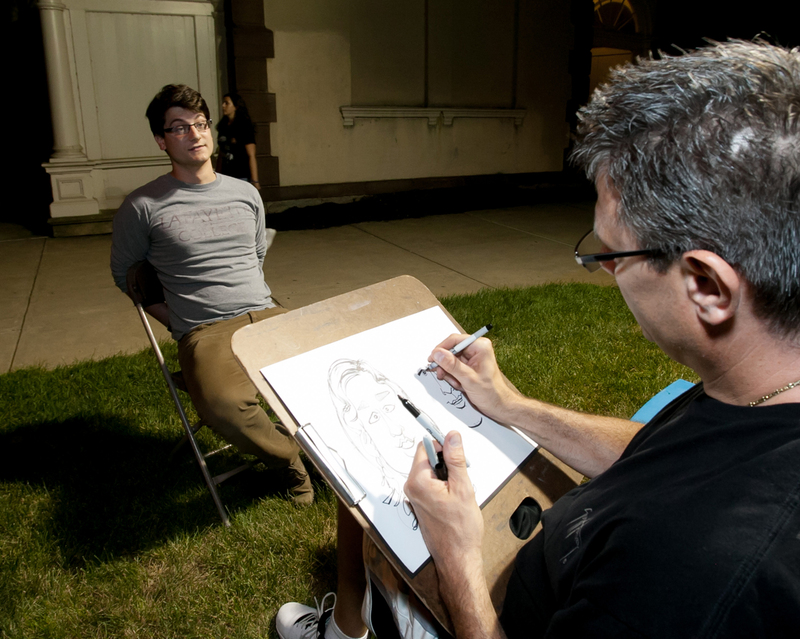 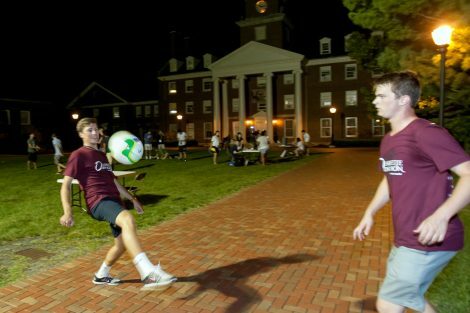 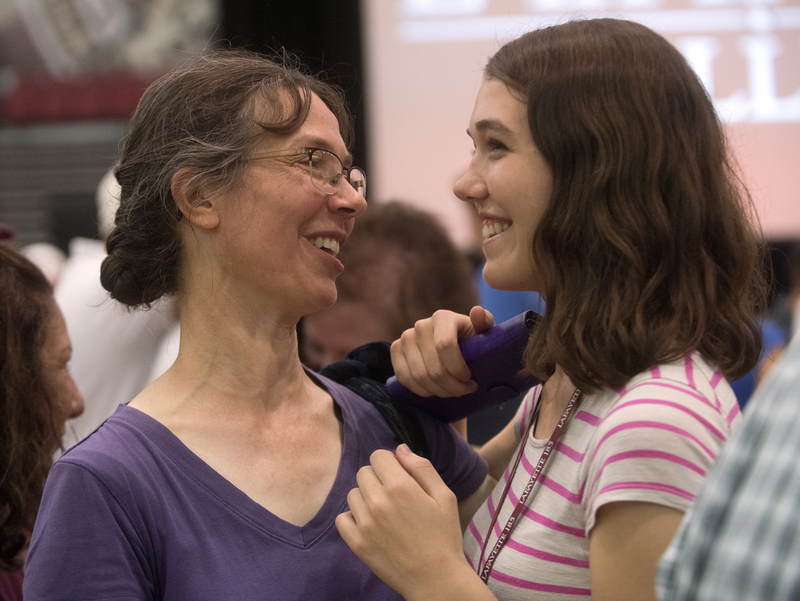 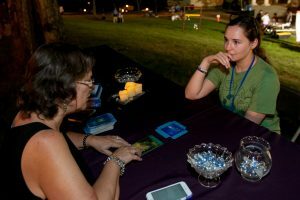 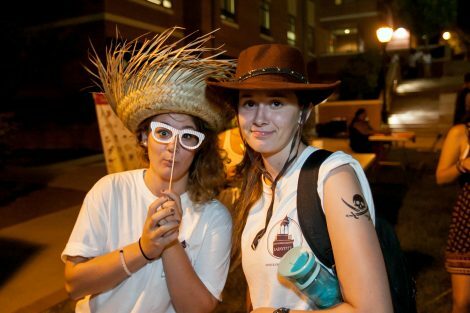 The Connected Communities commons system provides students with strong connections to each other throughout the year with special events, speakers, and socials. Members of Alliance common relax before the ceremony. 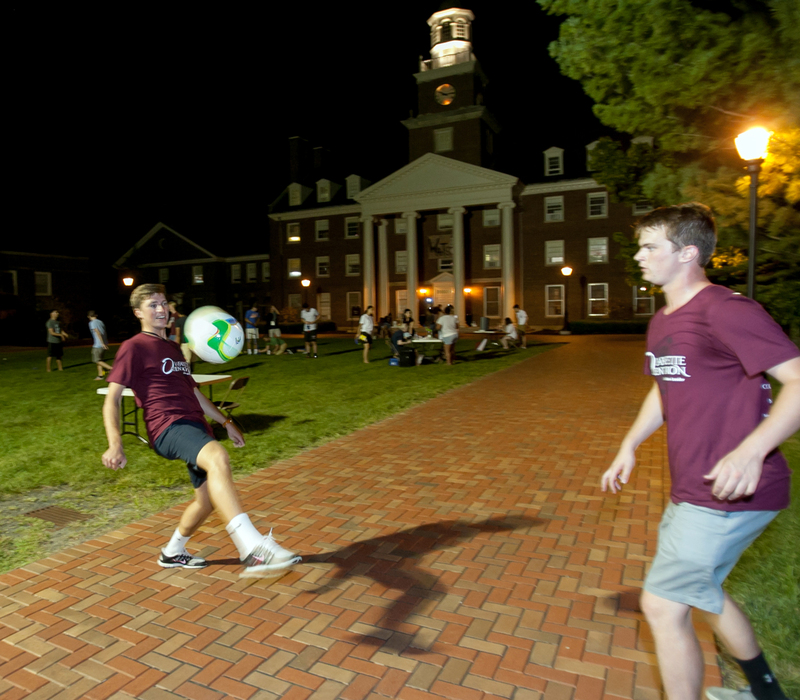 Alliance common makes its way through the Quad. 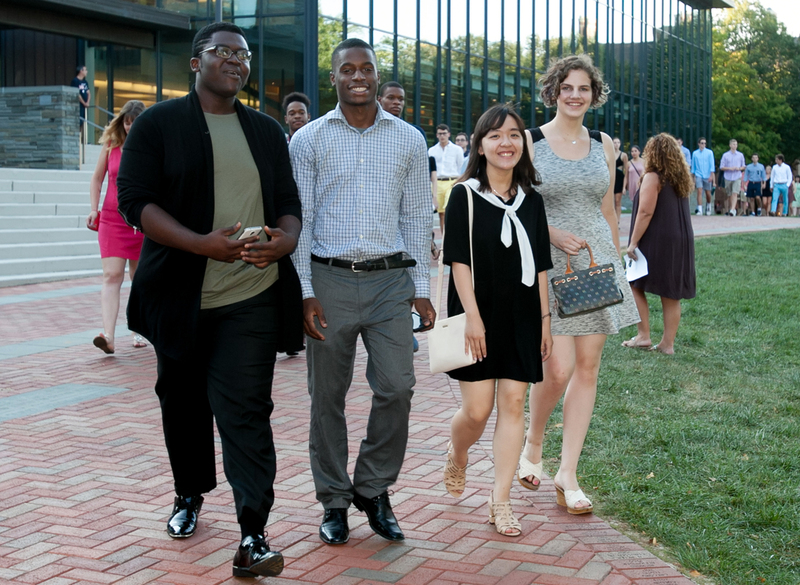 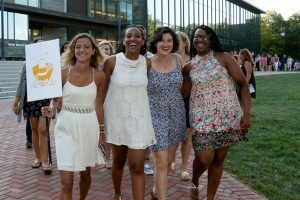 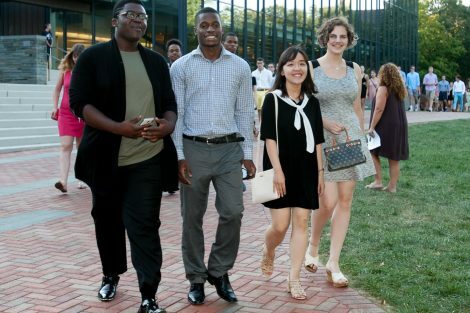 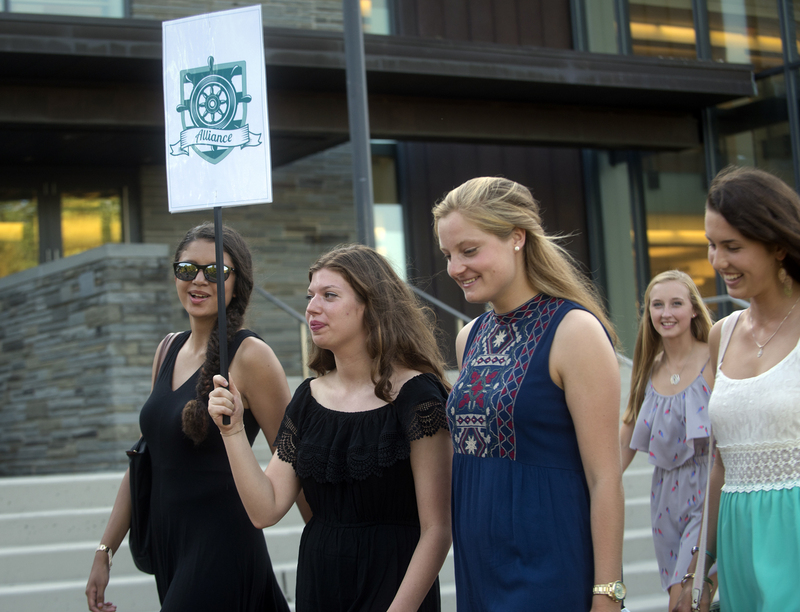 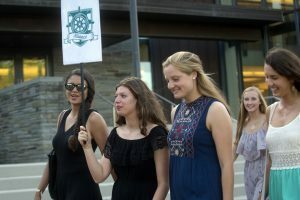 Students in Victoire common make their way to Convocation. 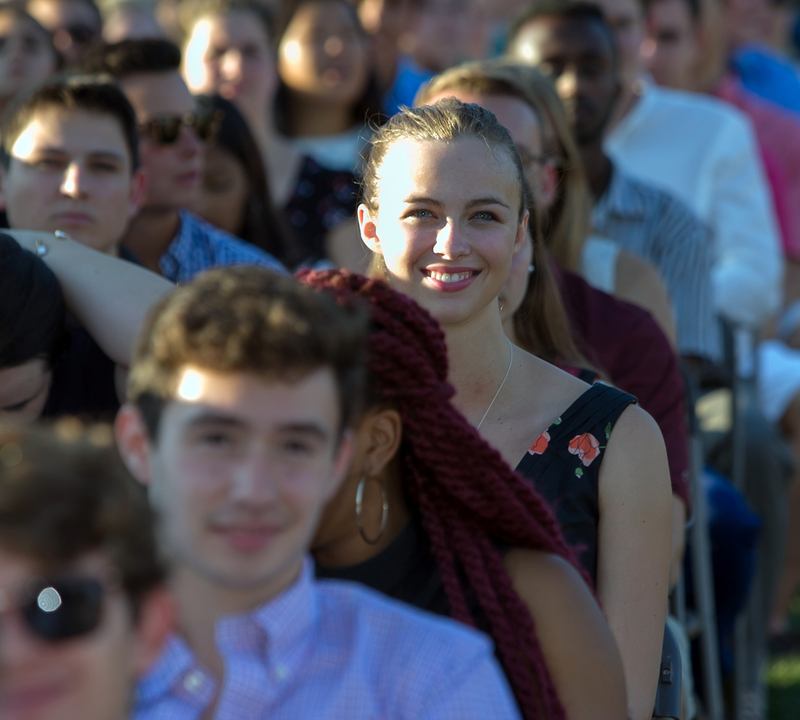 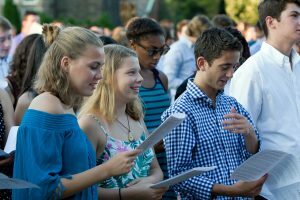 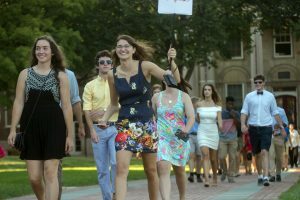 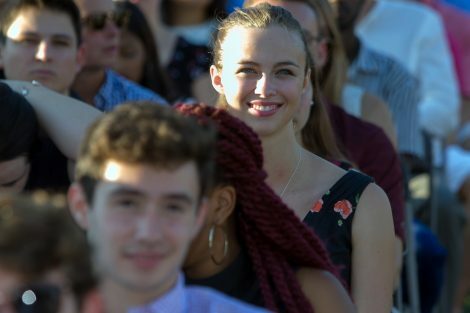 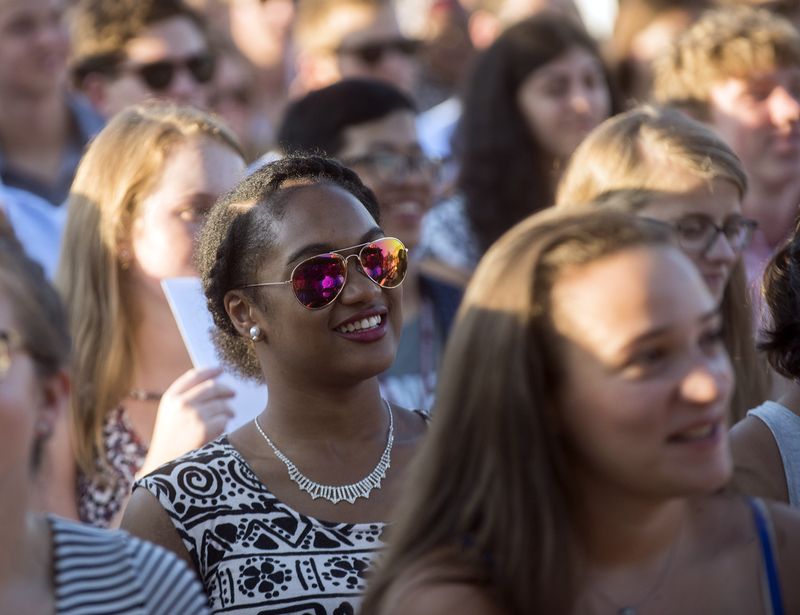 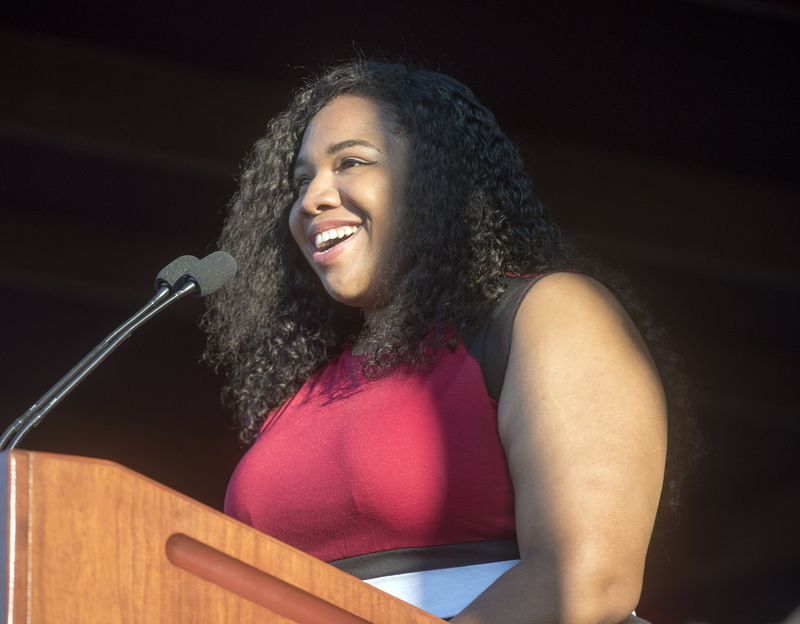 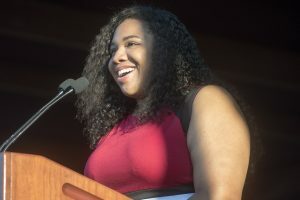 L’Eunice B. Faust ’17, student government president, welcomes the new students. 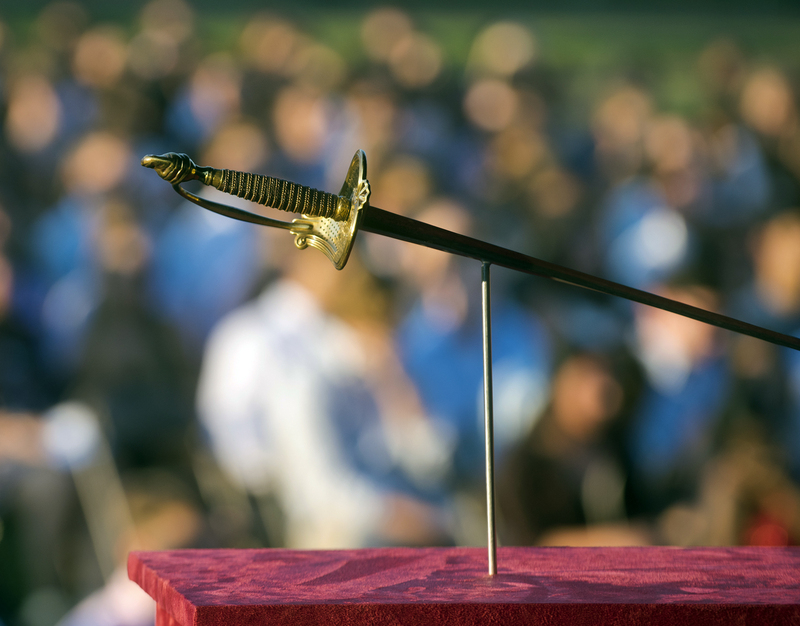 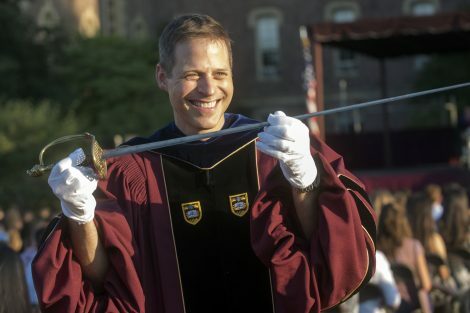 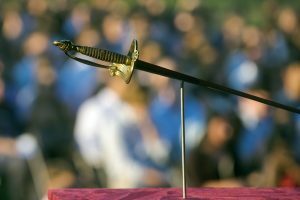 In College tradition, Paul McLoughlin, dean of students, presents the sword of the Marquis de Lafayette to the Class of 2020. 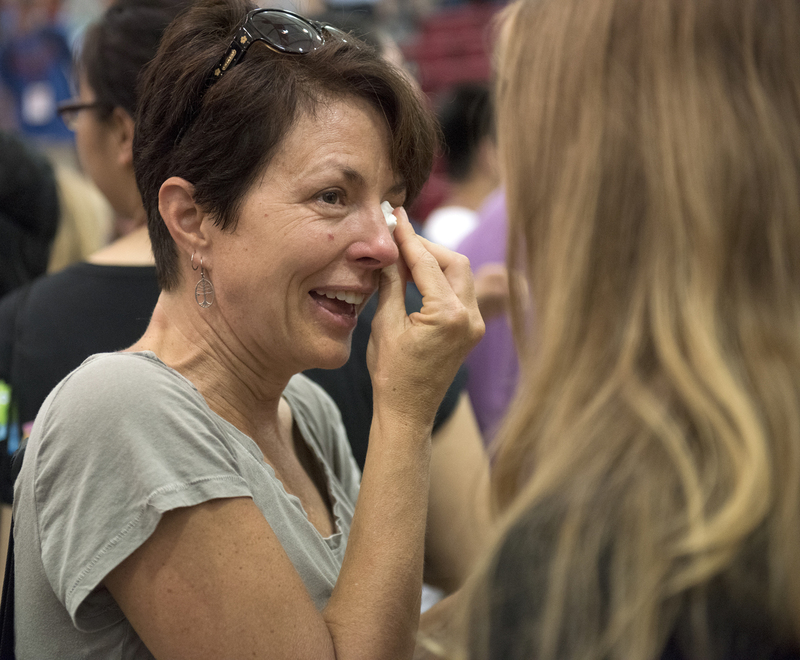 Students in Alliance show their common spirit. Students present the Class of 2020 banner. 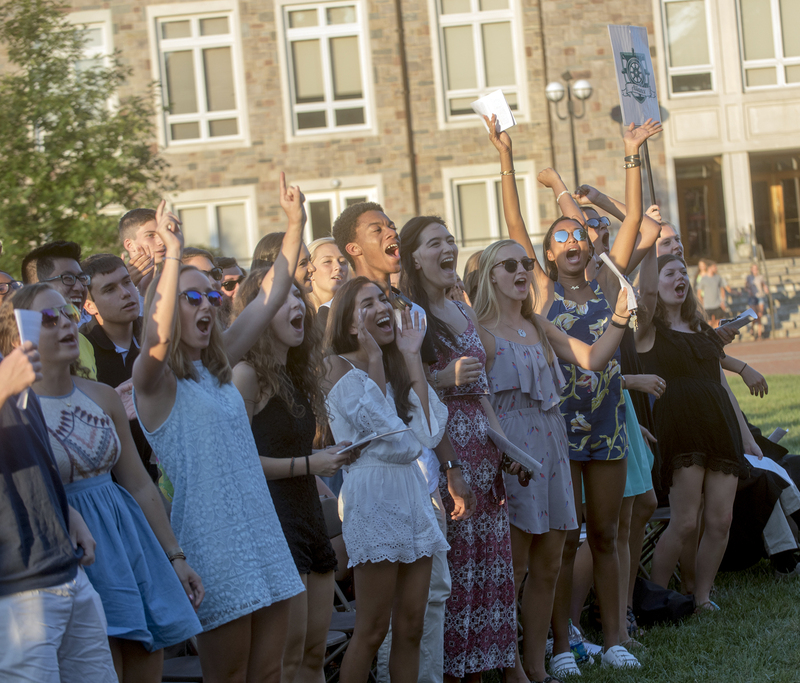 New students sing the "Alma Mater." 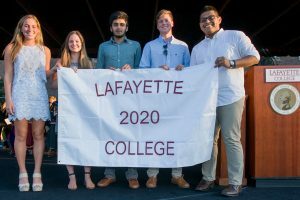 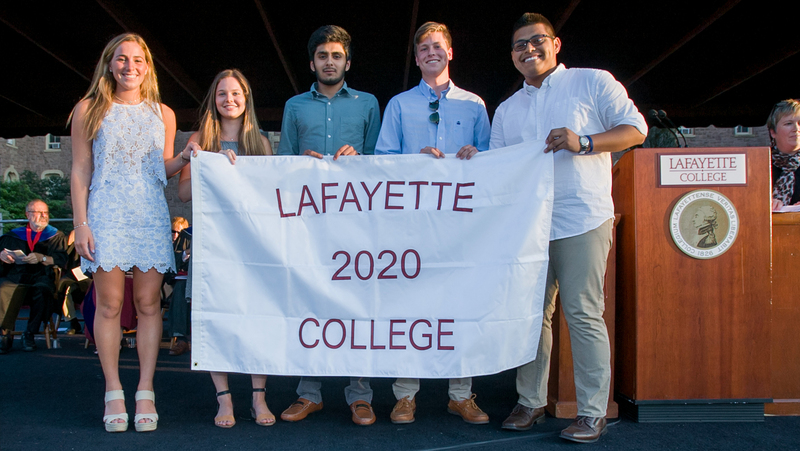 Nahin Ferdousi '19 provides tips to stay well-fed during your time at Lafayette. 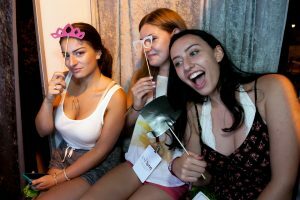 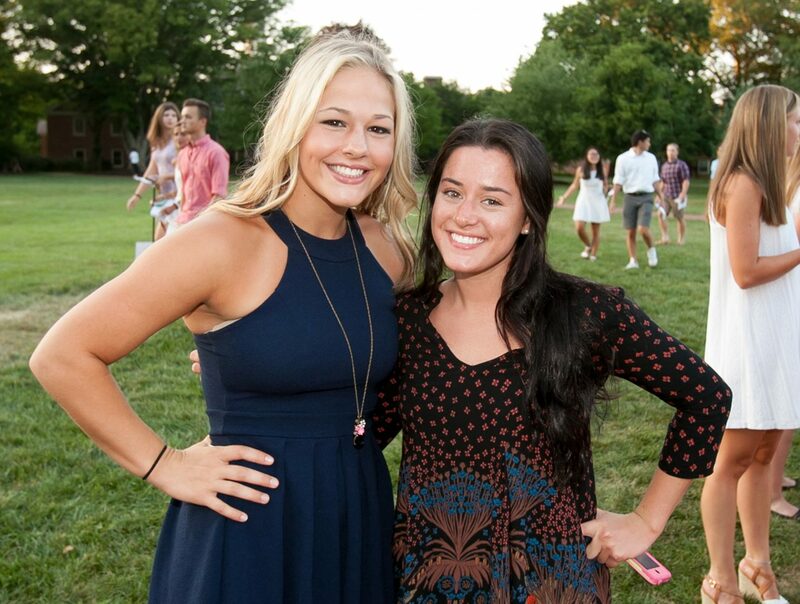 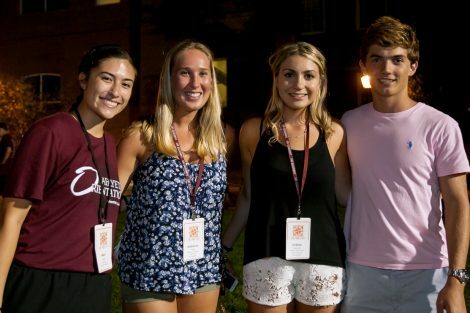 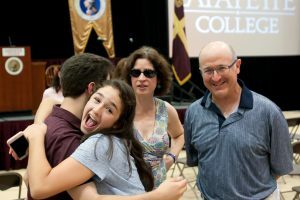 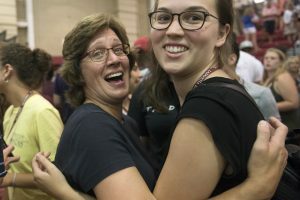 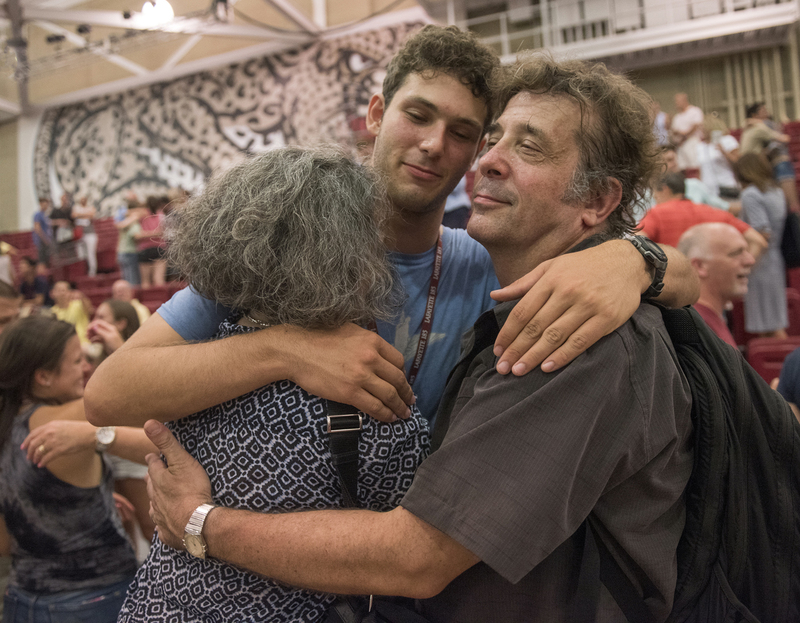 Lauren Wisniewski ’19 writes about how you can have all three. 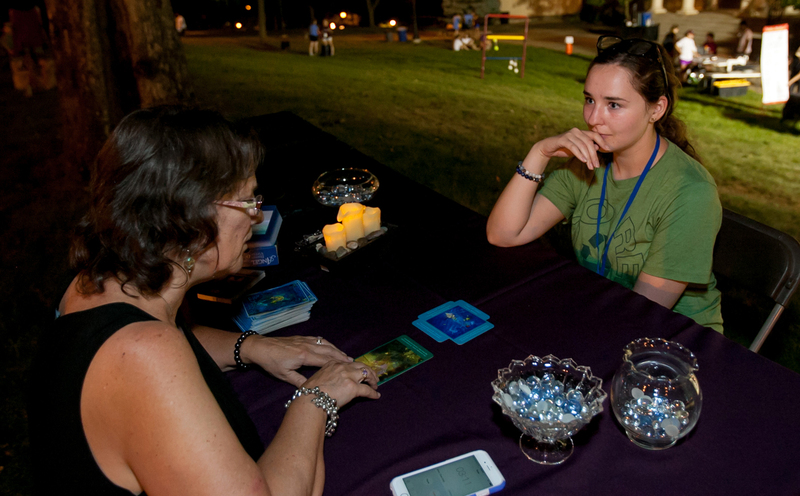 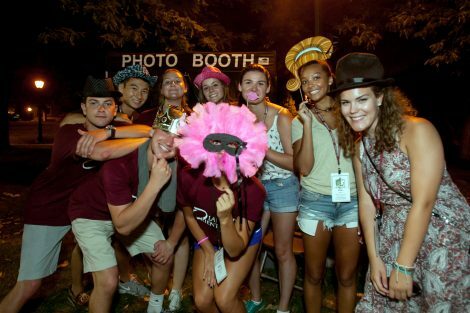 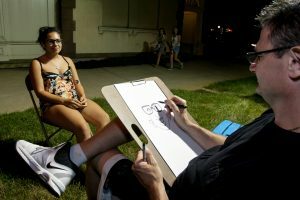 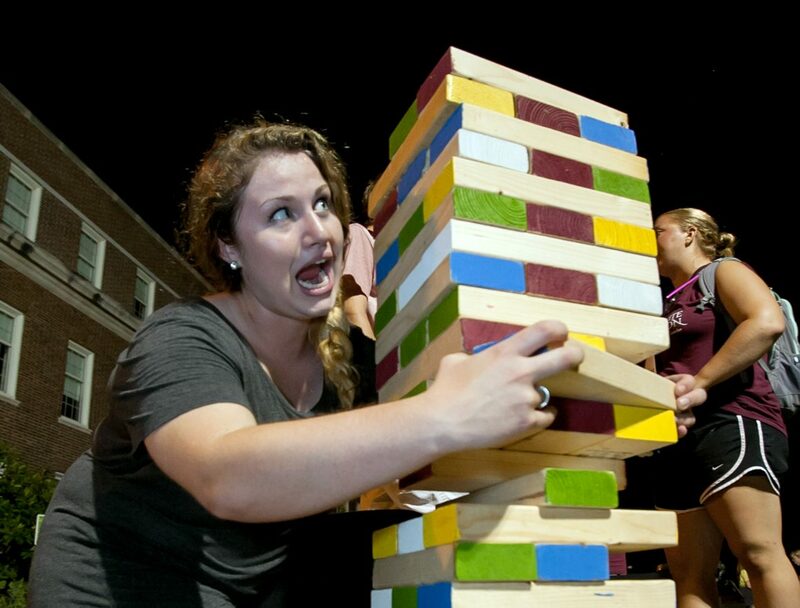 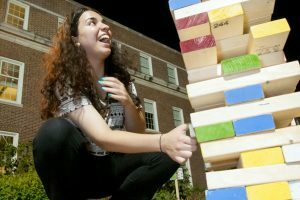 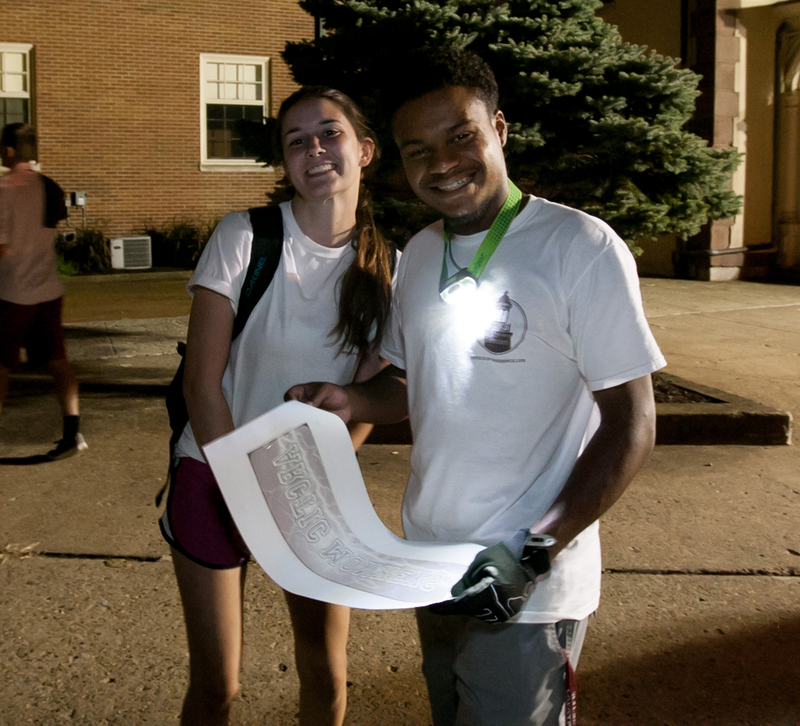 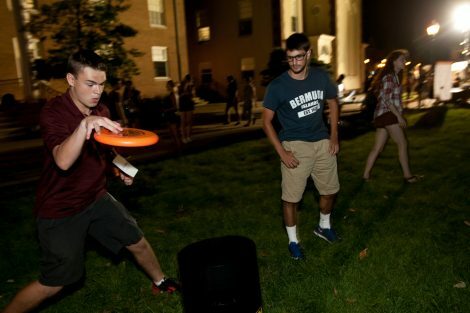 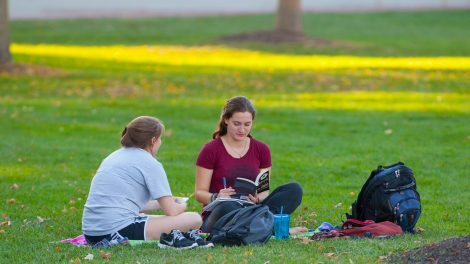 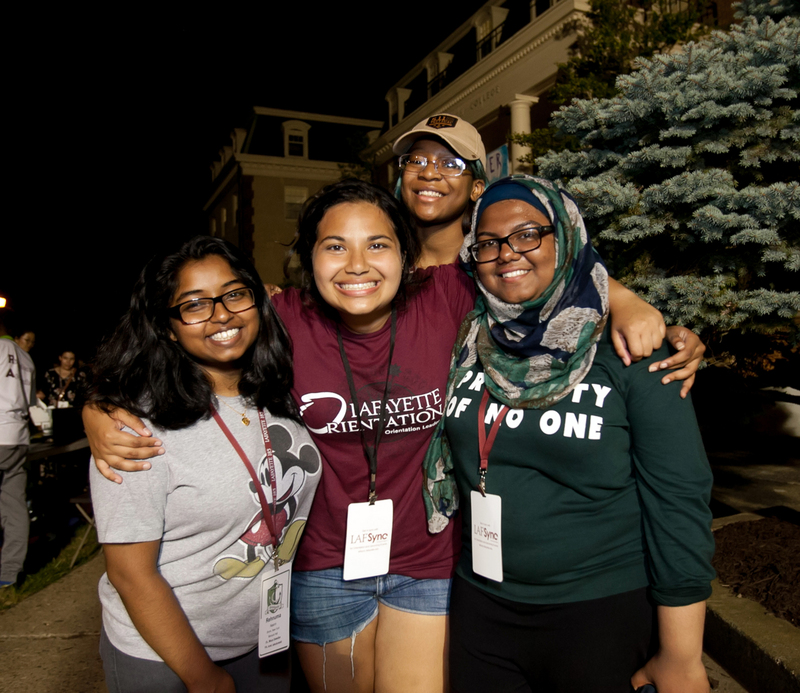 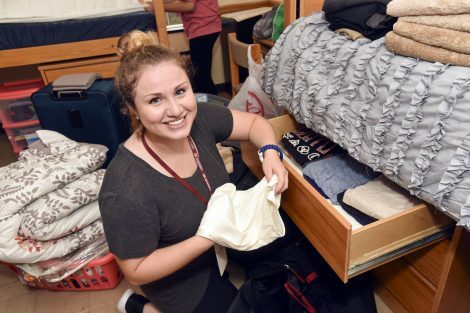 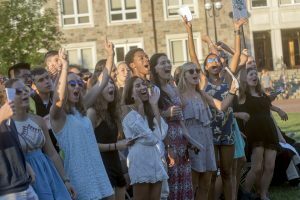 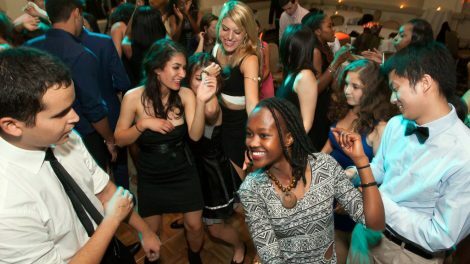 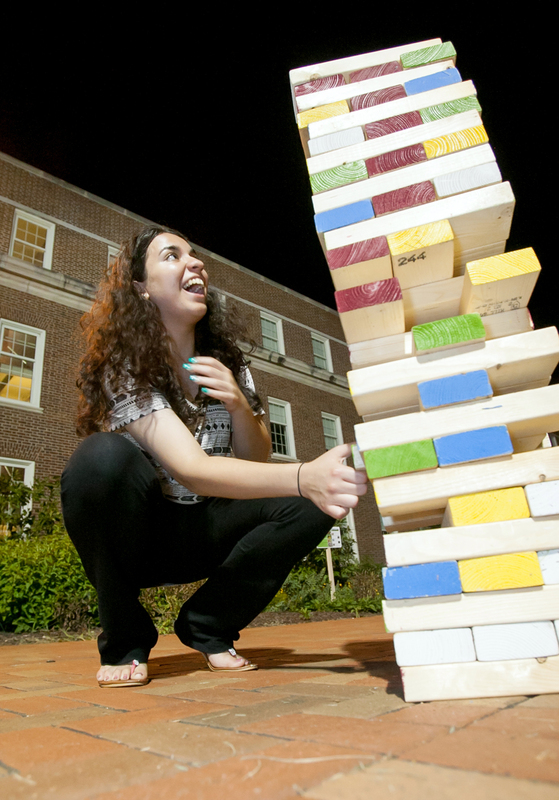 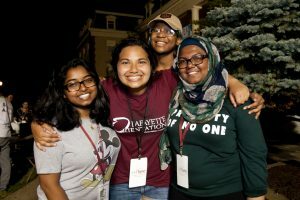 Julie Wadja '19 writes about her favorite activities on campus. 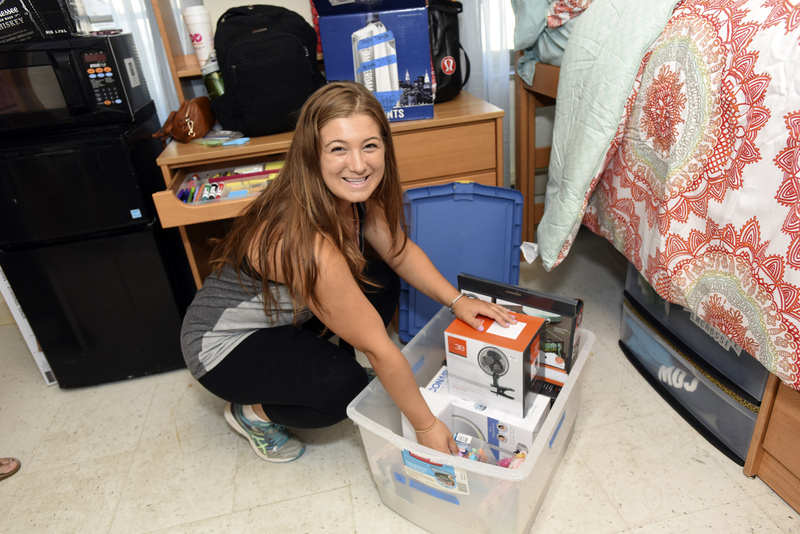 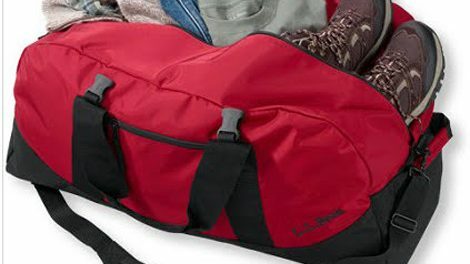 Jane Gold ’19 unloads a list of essentials for the first-year suitcase.